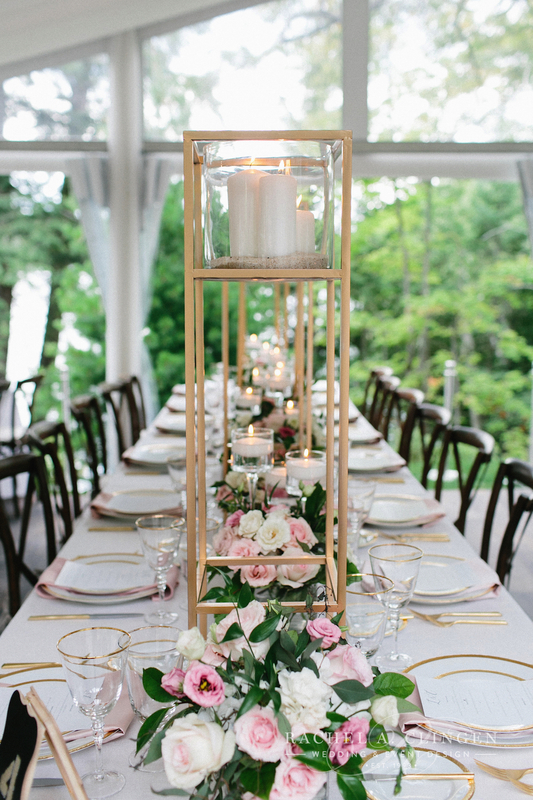 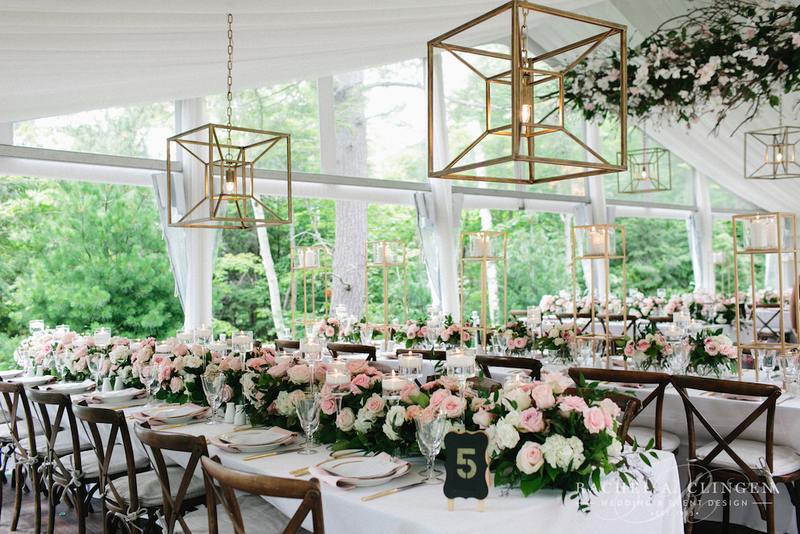 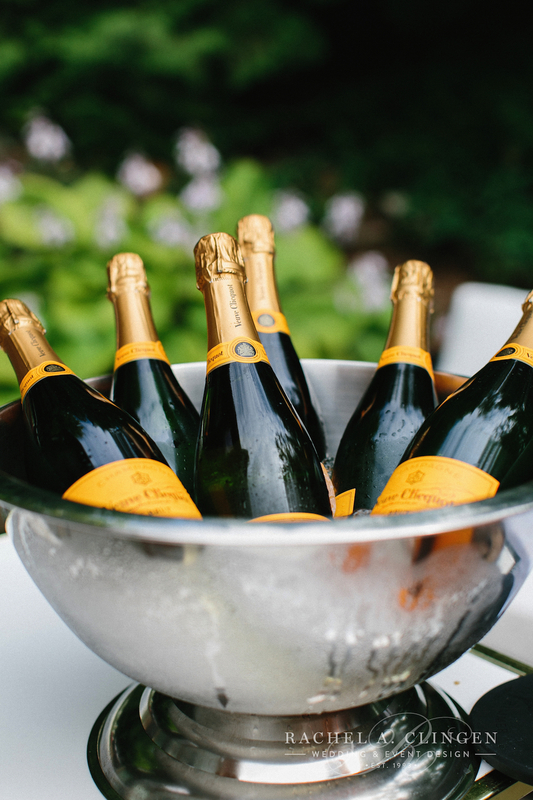 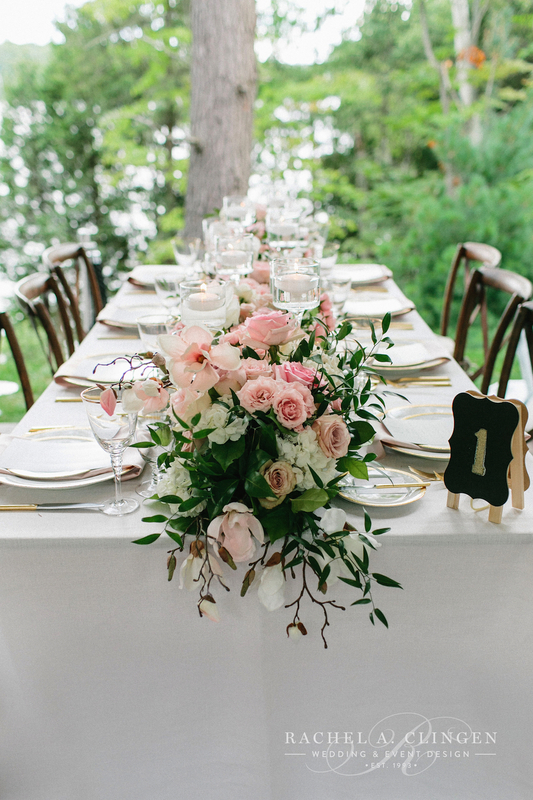 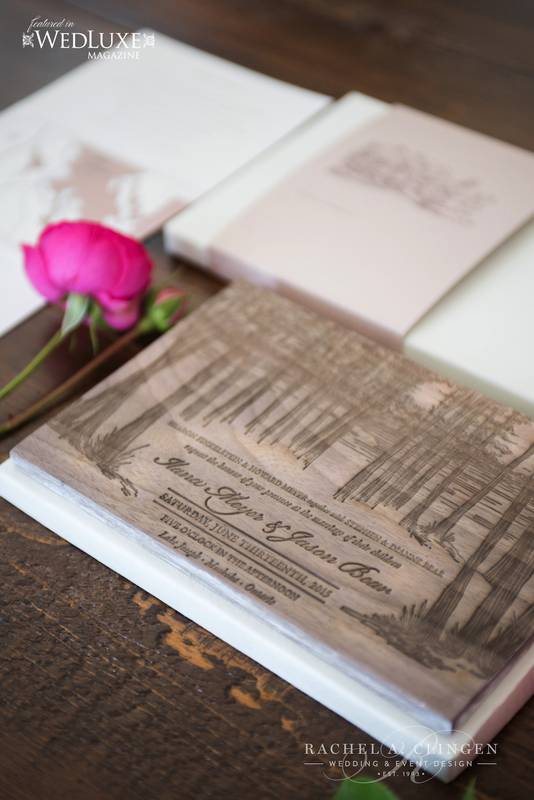 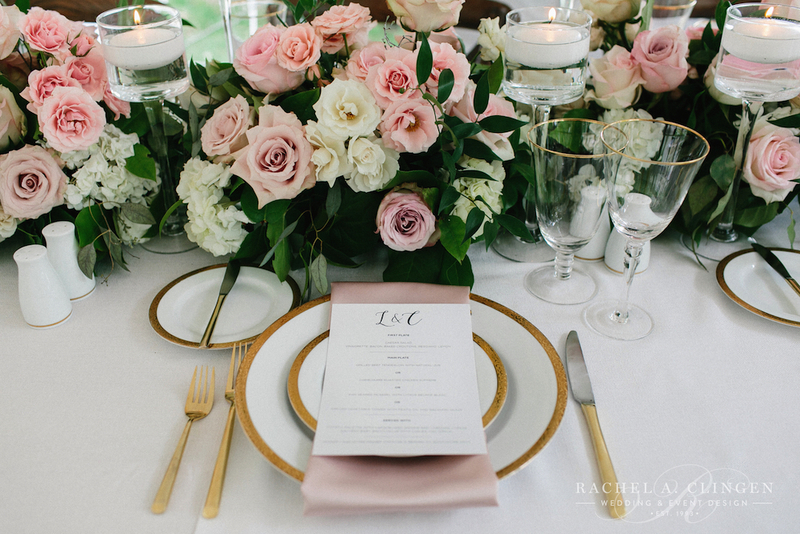 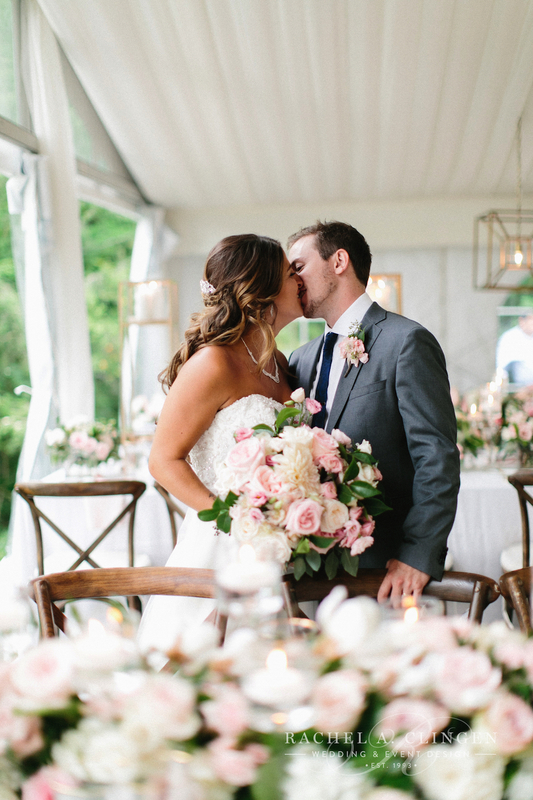 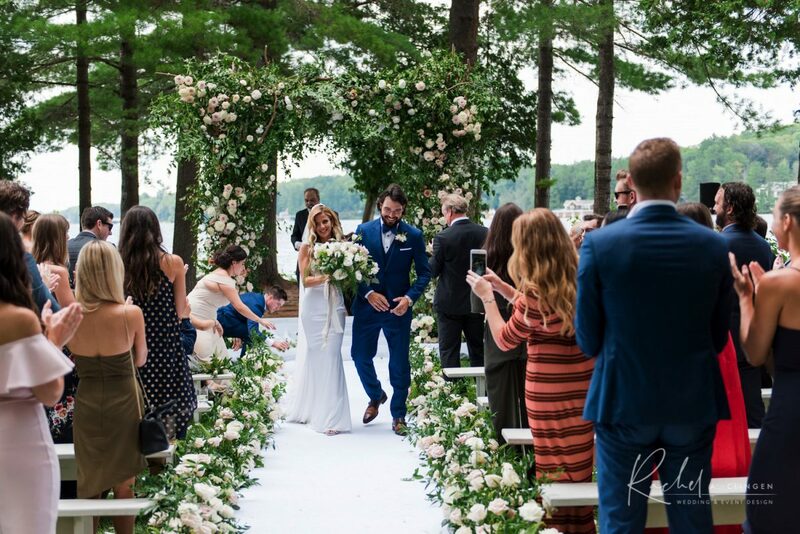 All the beautiful Weddings and their decor done in Ontario’s Muskoka region. 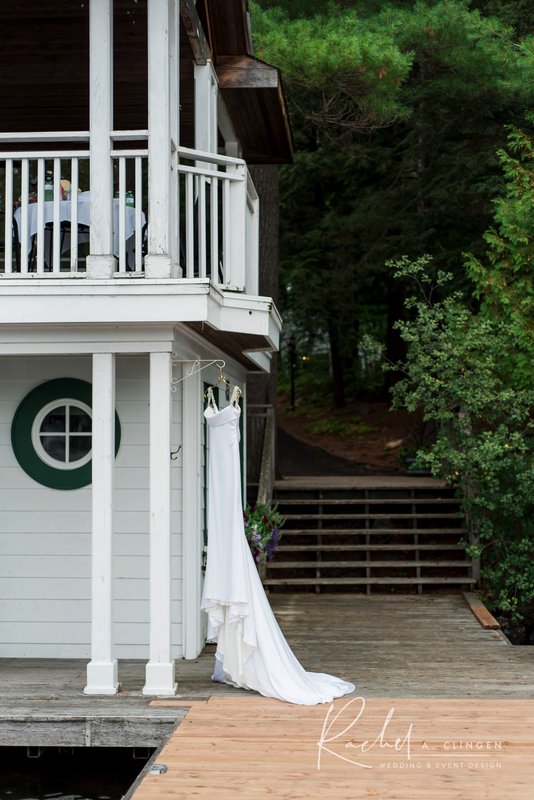 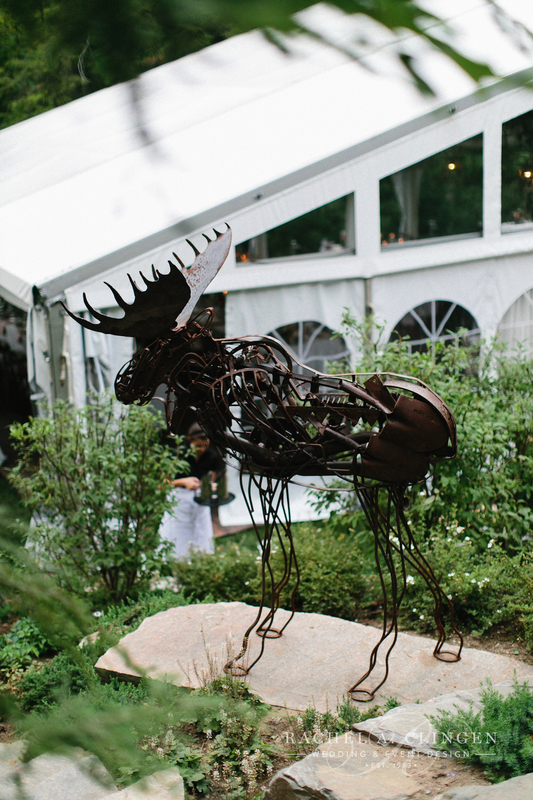 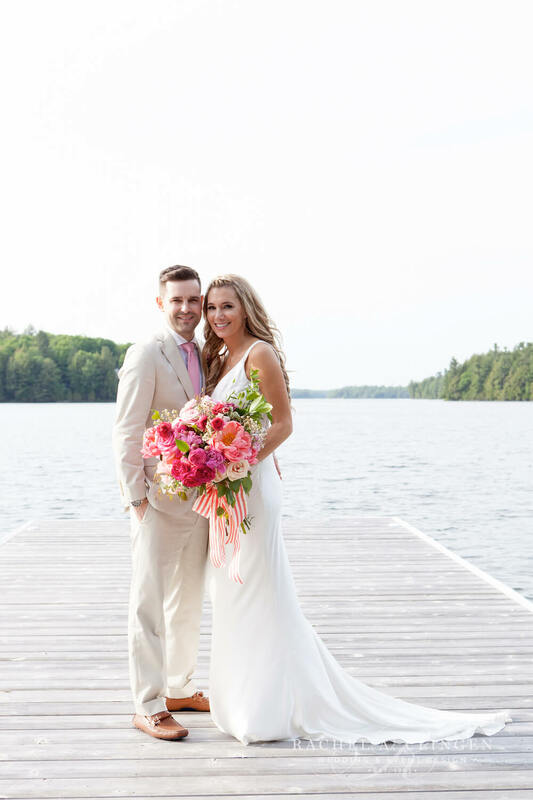 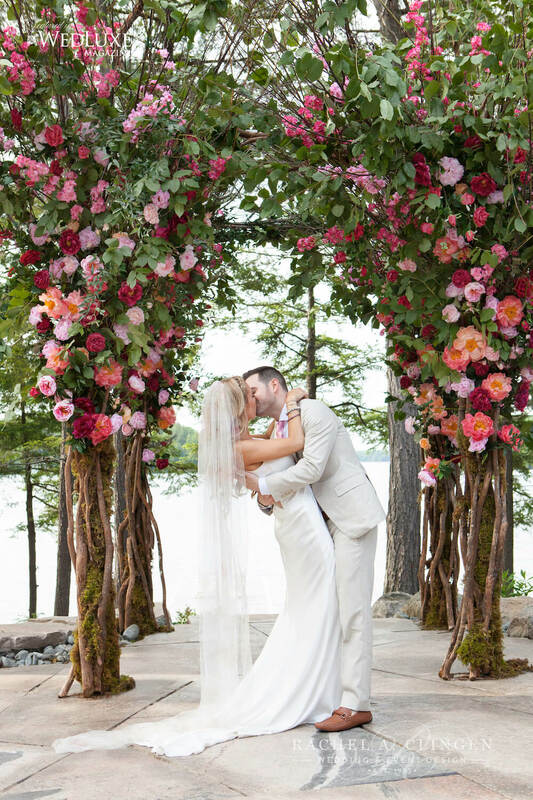 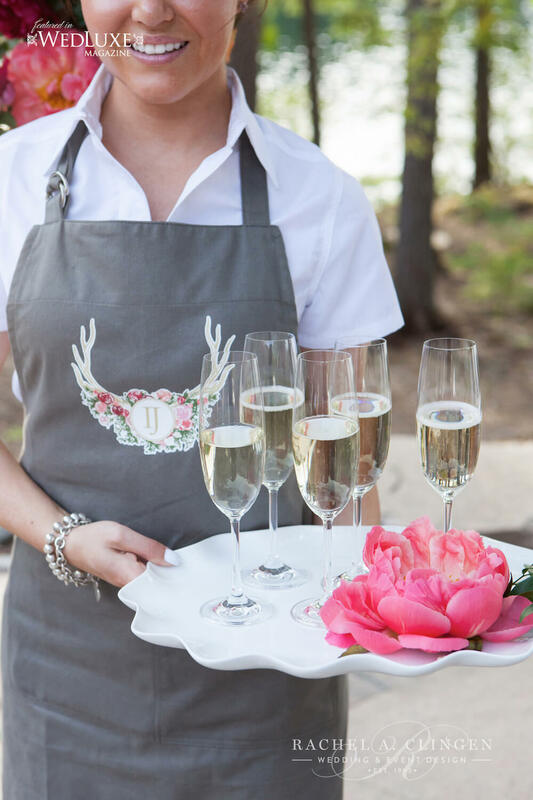 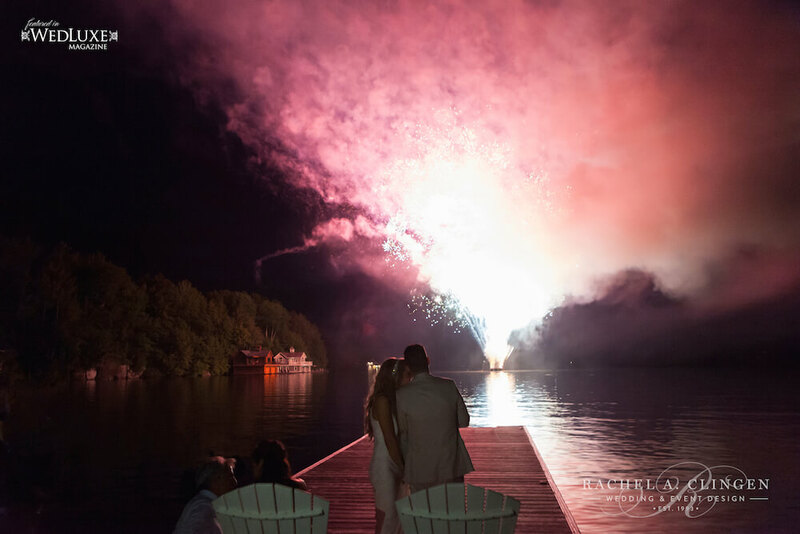 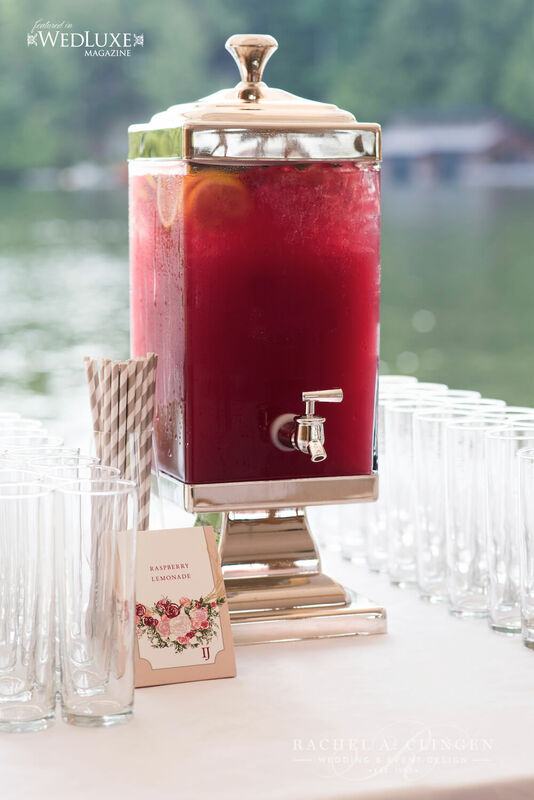 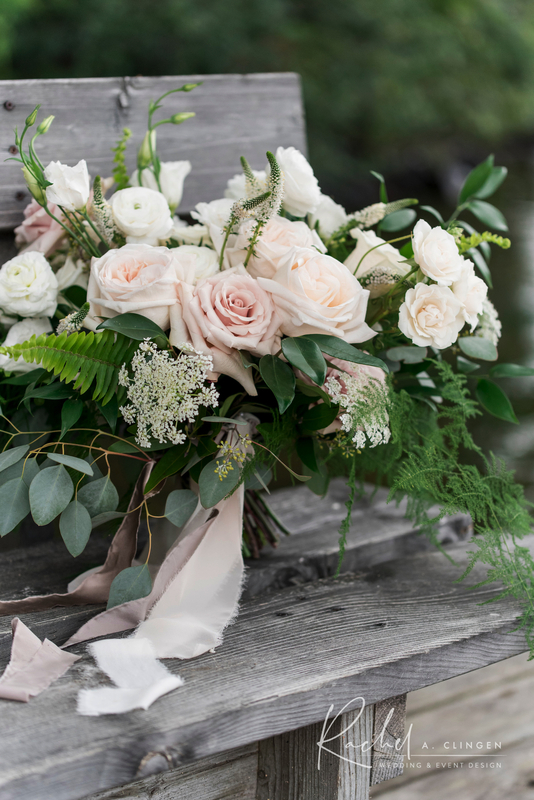 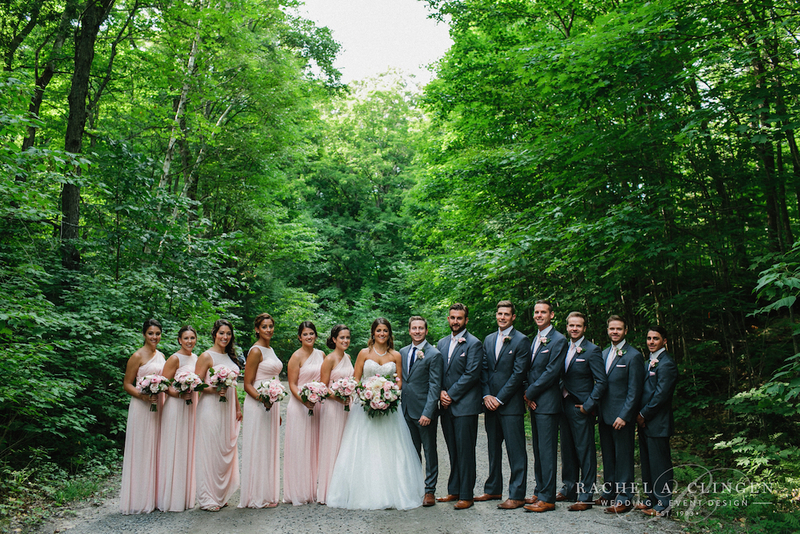 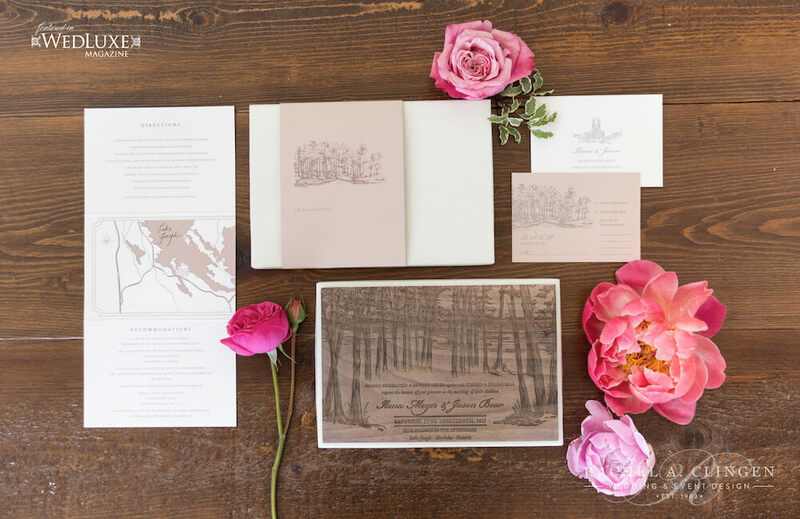 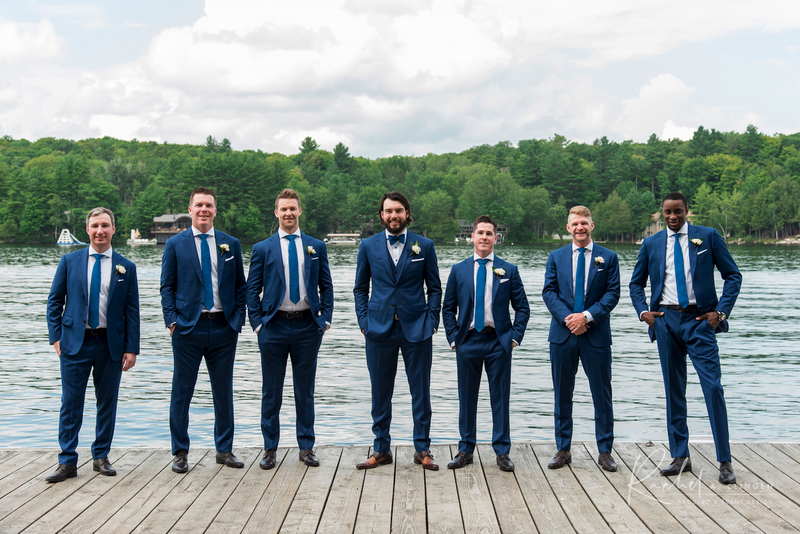 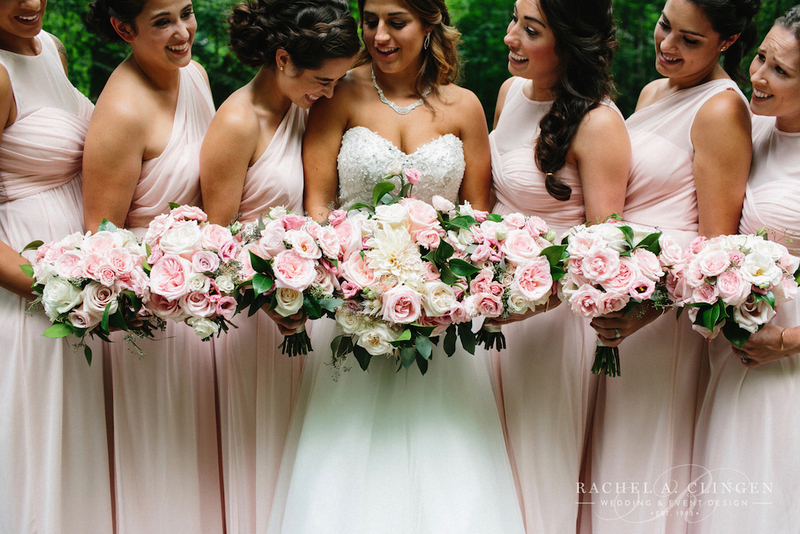 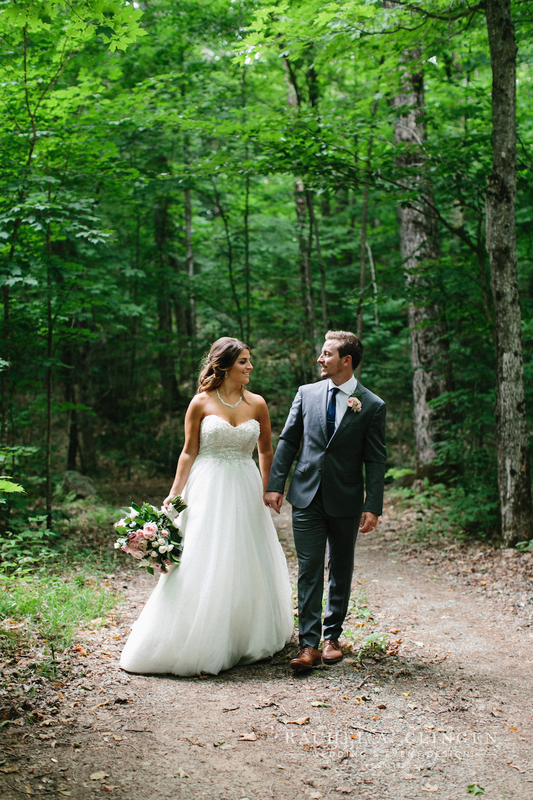 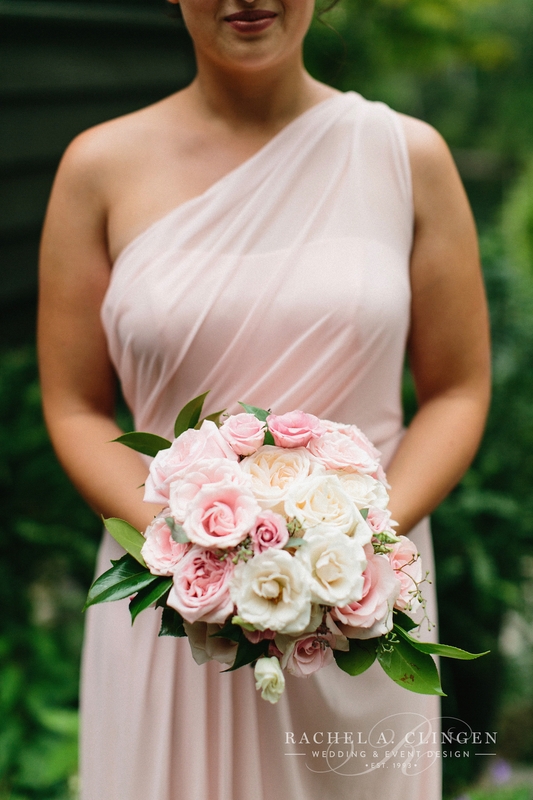 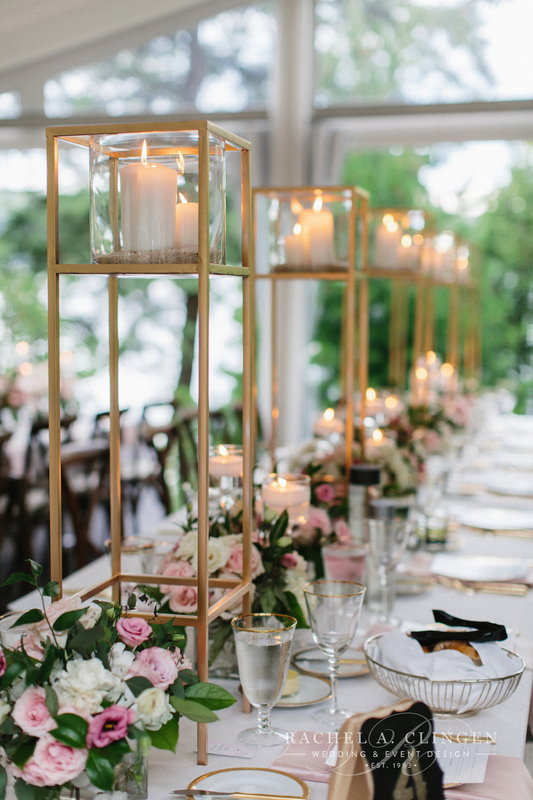 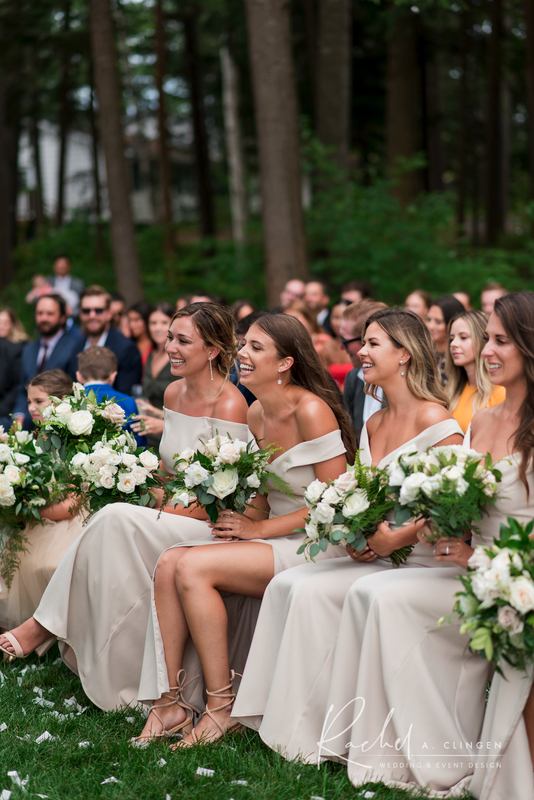 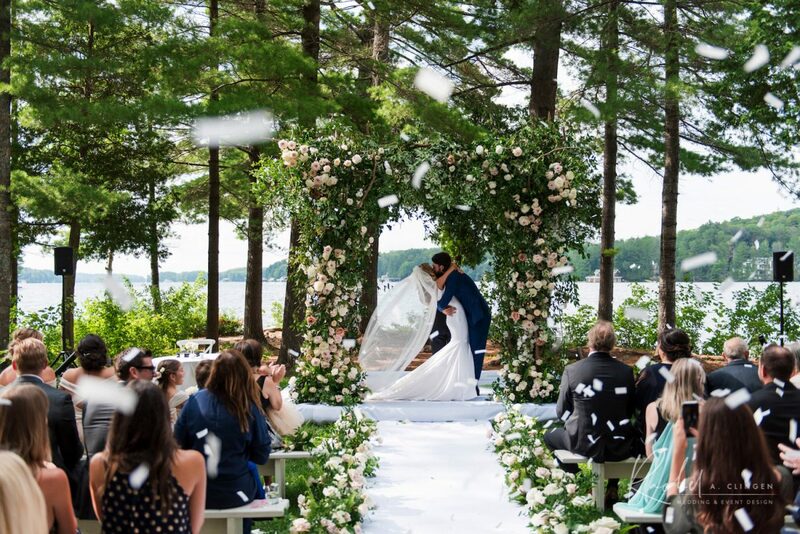 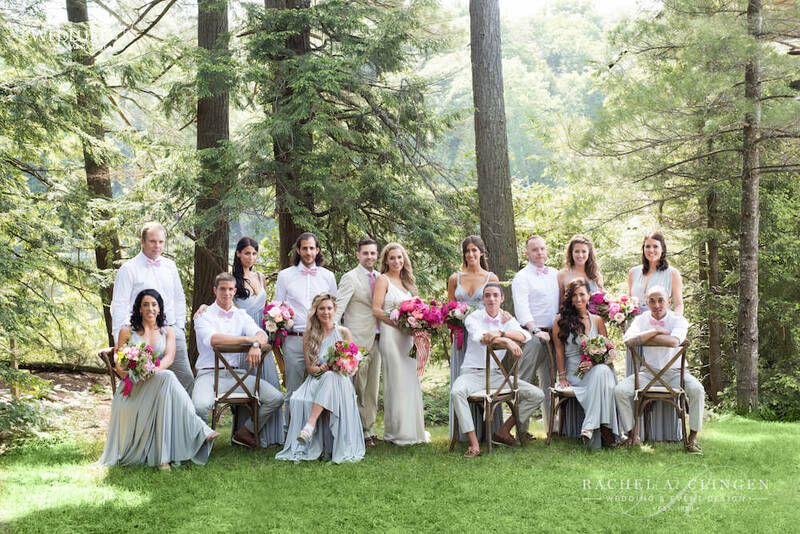 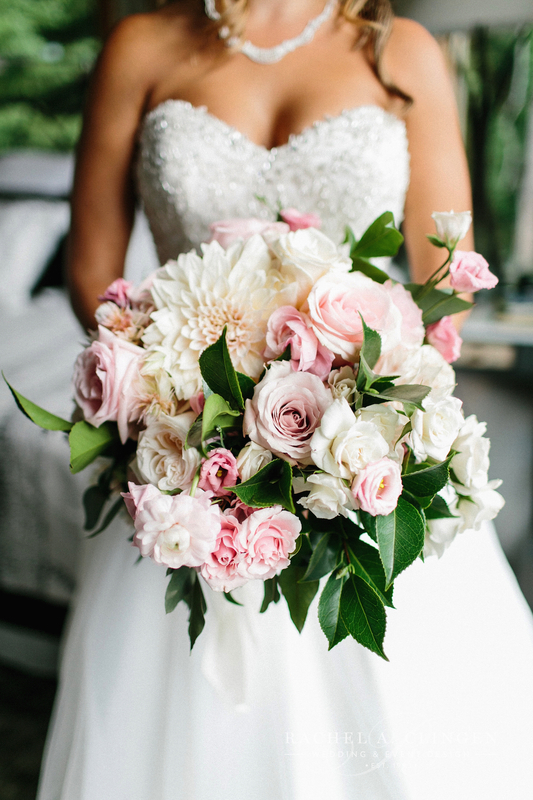 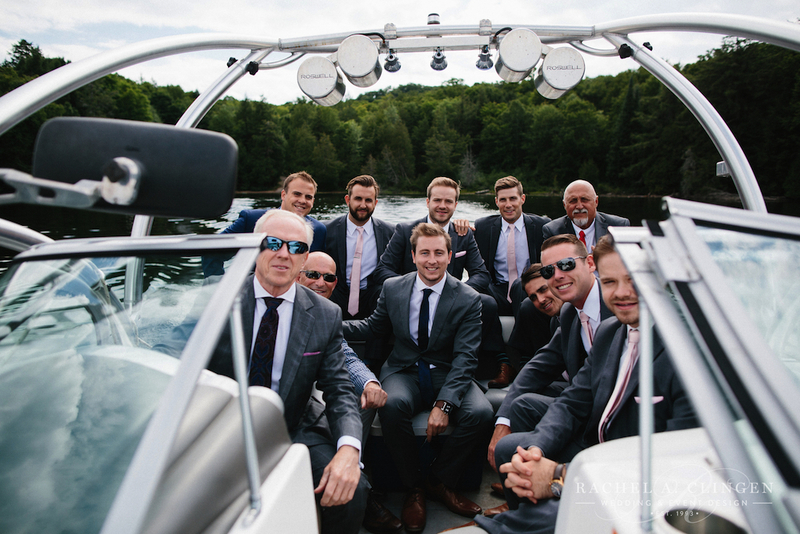 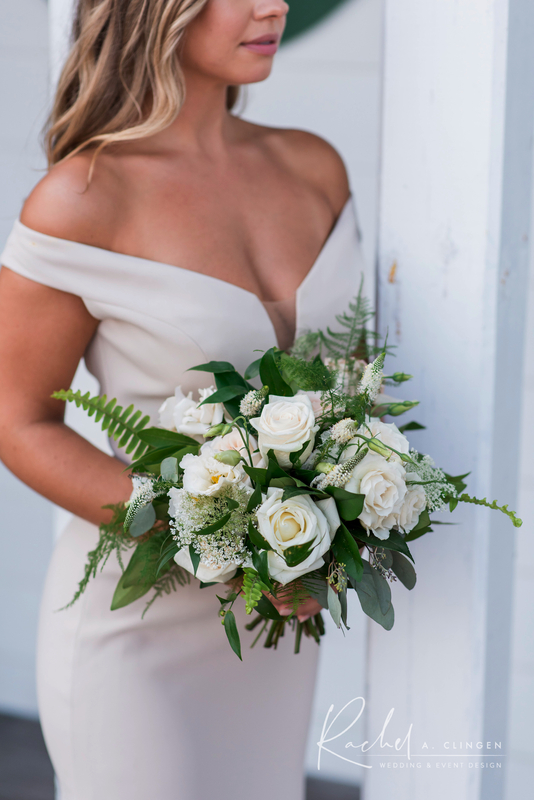 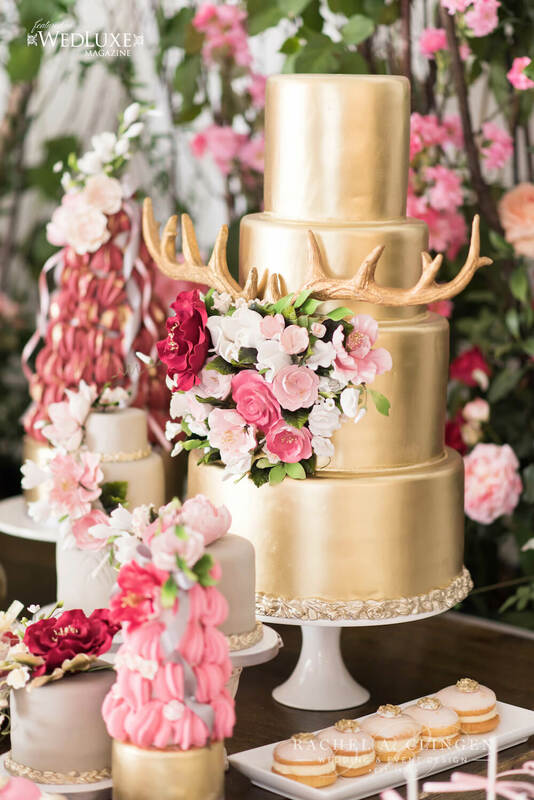 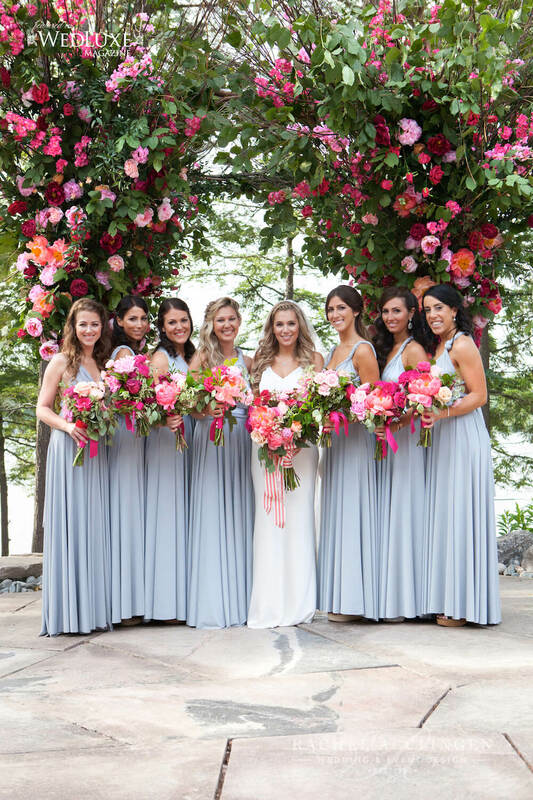 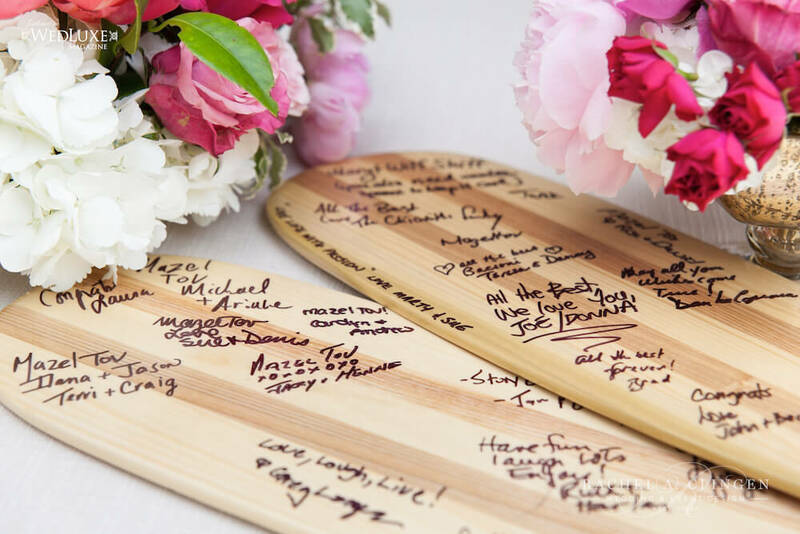 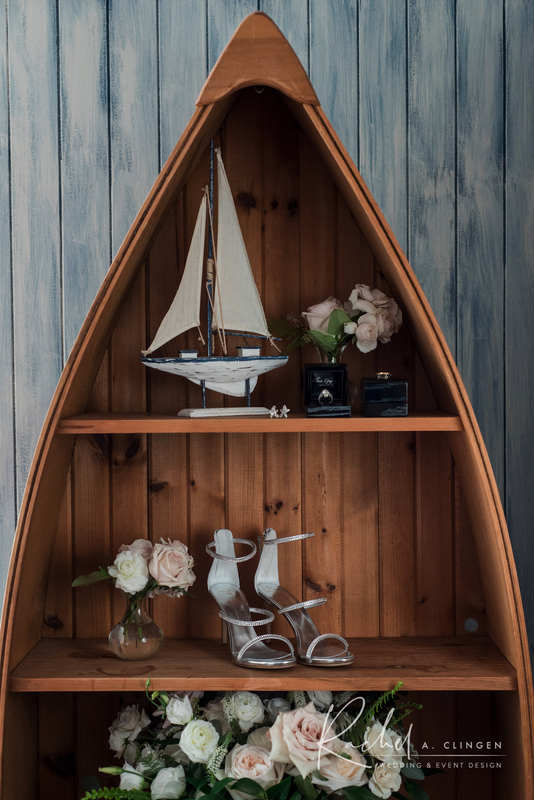 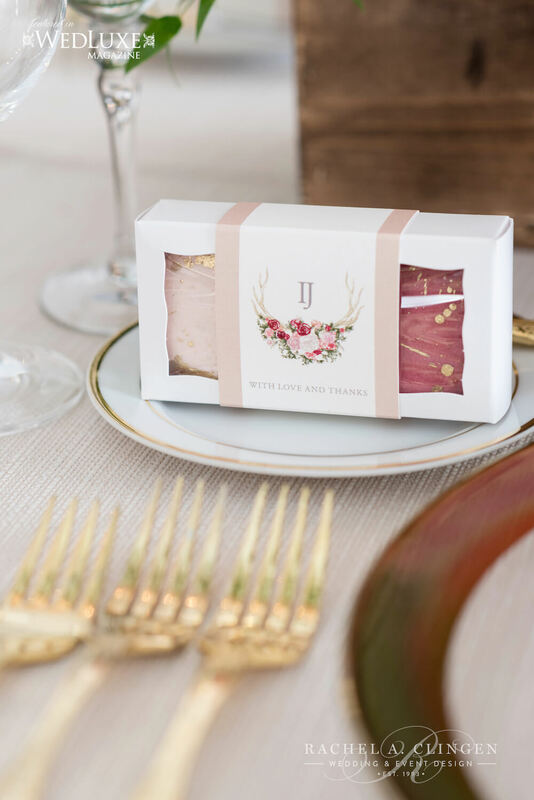 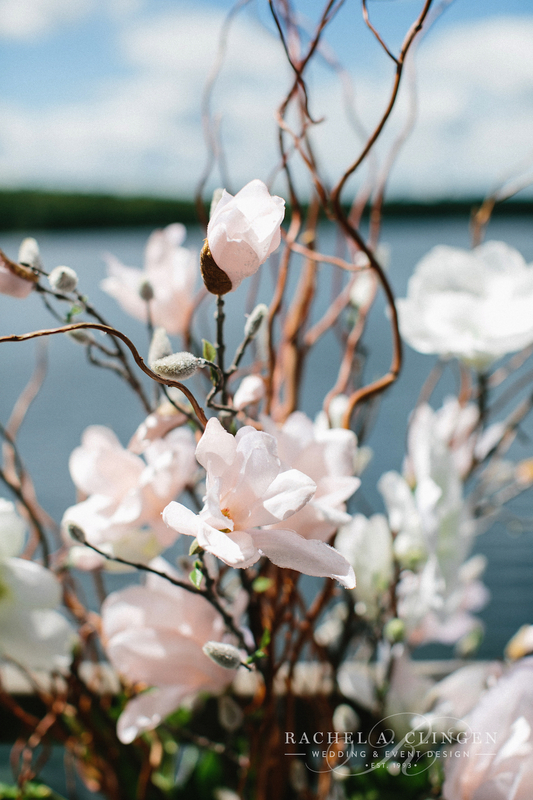 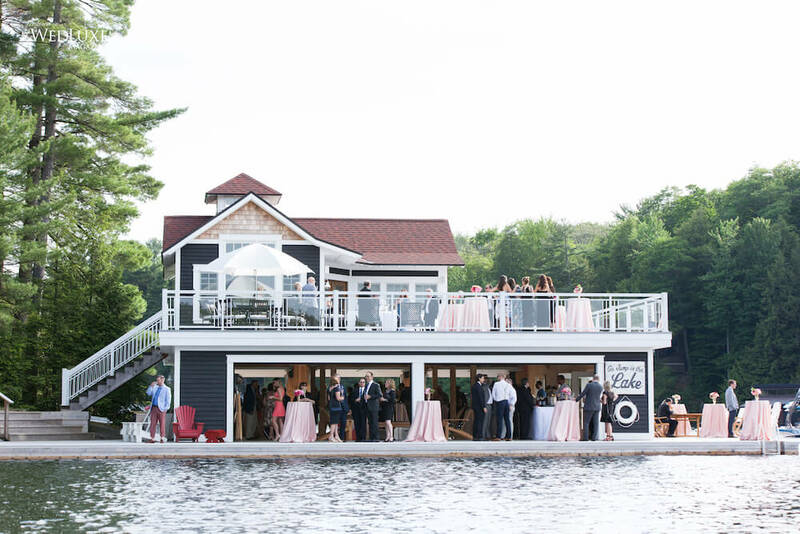 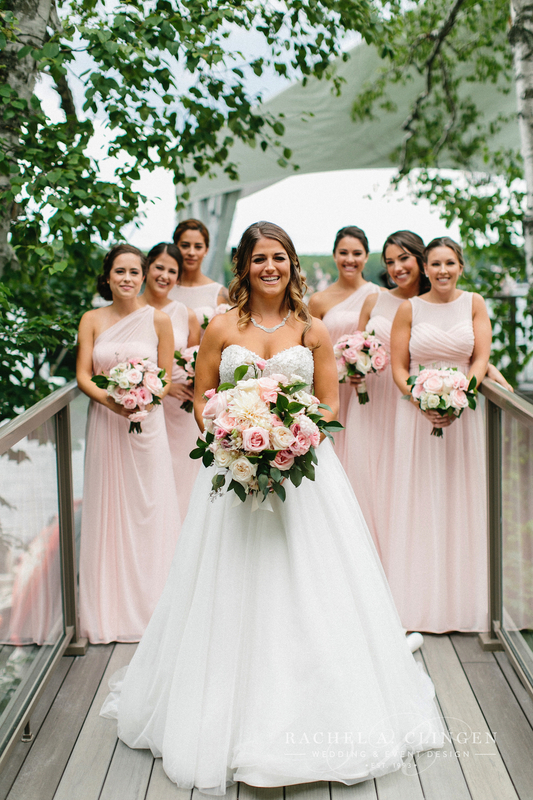 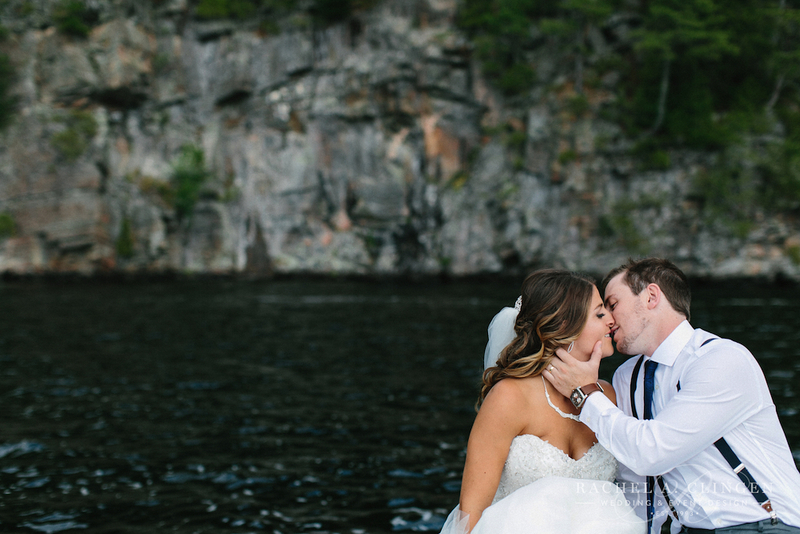 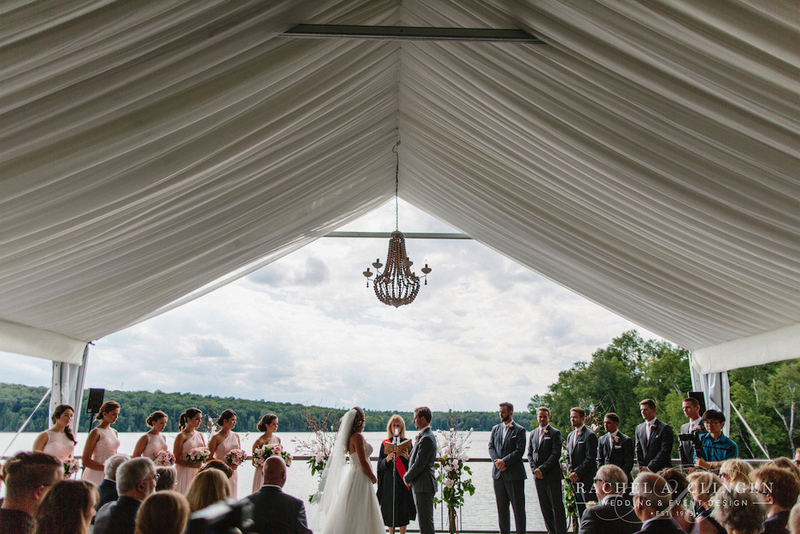 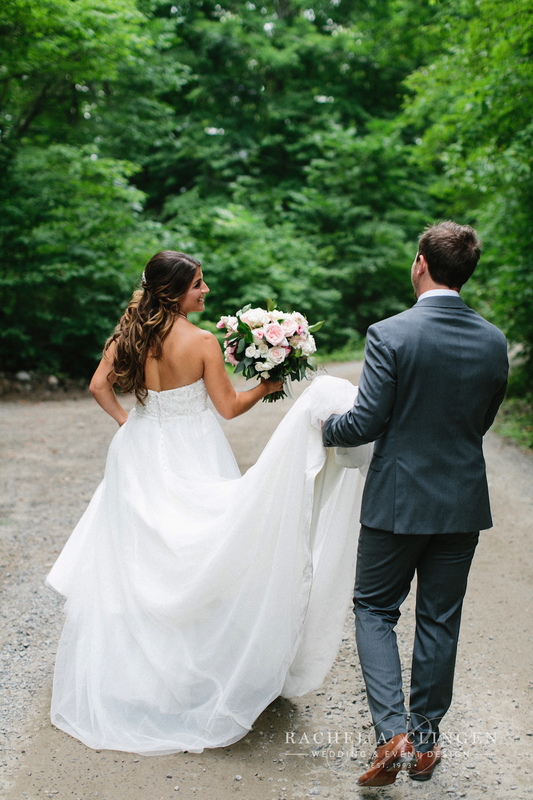 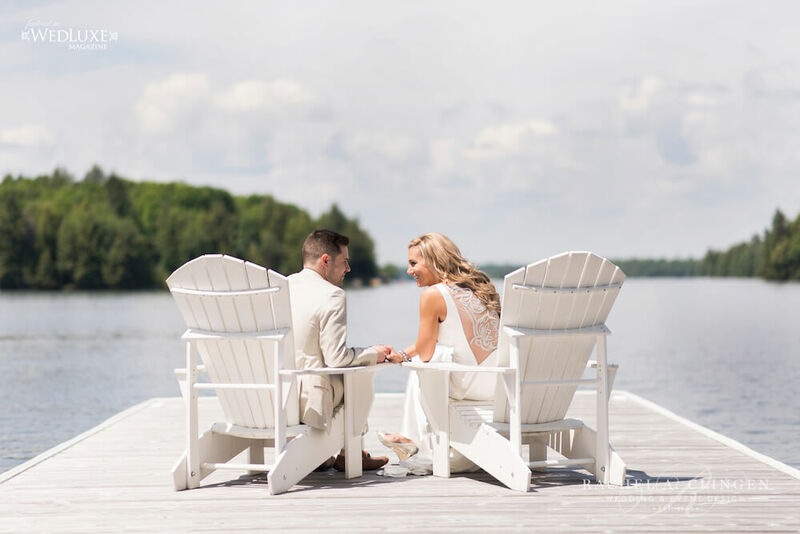 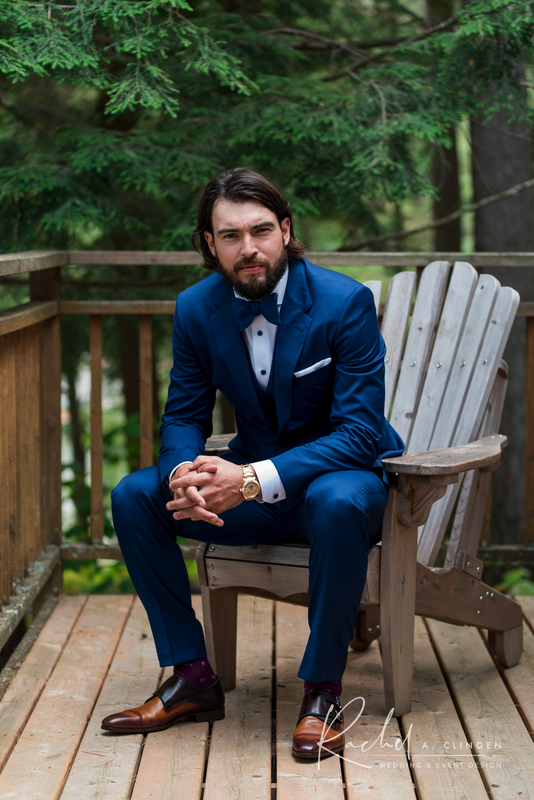 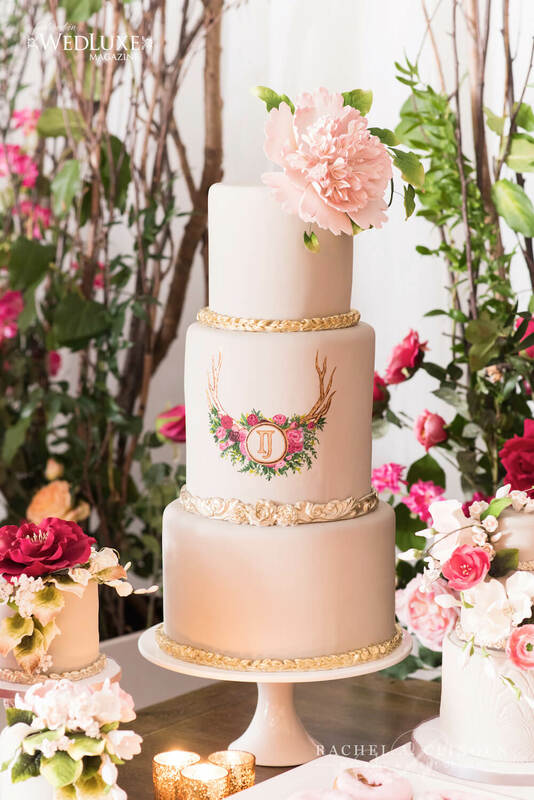 Jason and Ilana wanted to embrace the natural beauty surrounding the family cottage on Lake Joseph in Muskoka for their special day while allowing the guests to be a part of something special, something magical, something nobody would forget. 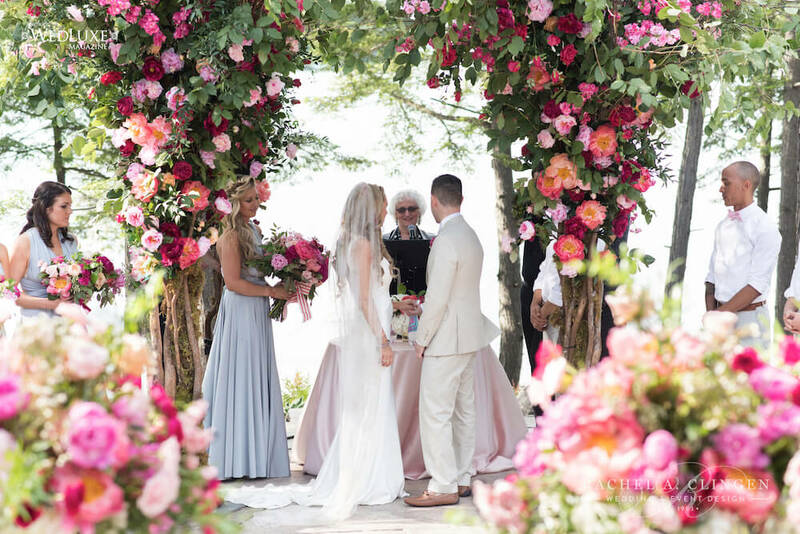 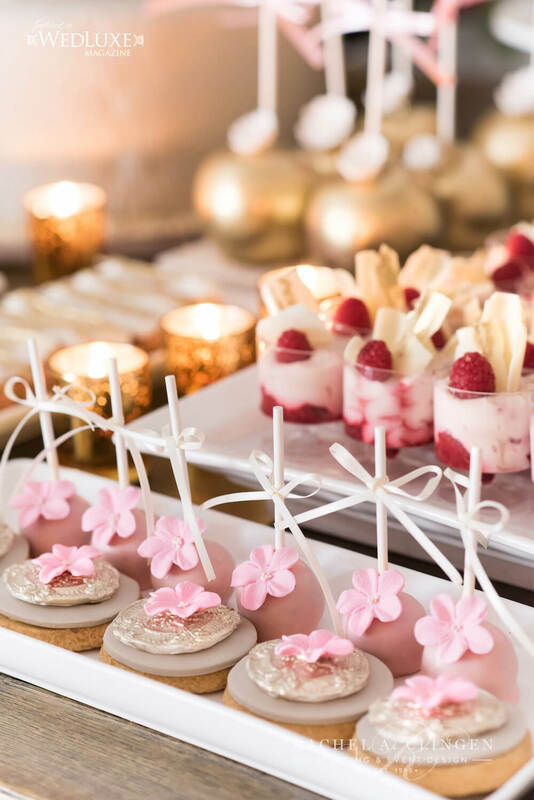 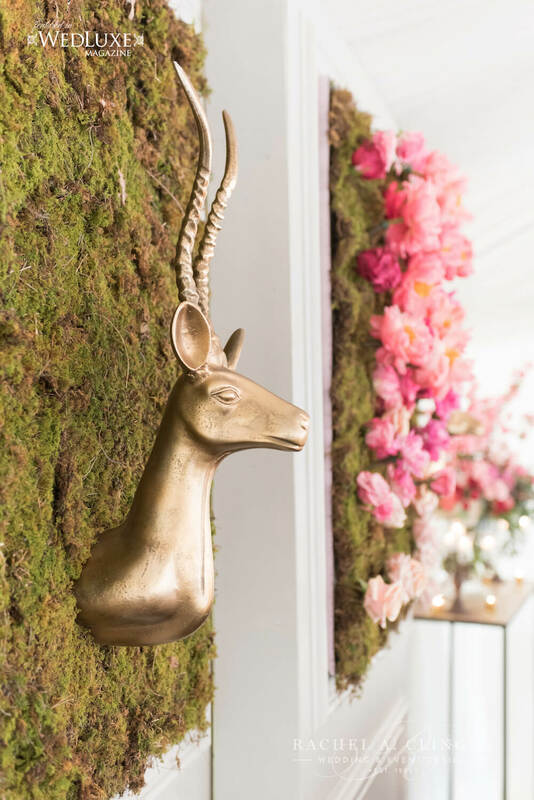 We were over the top excited to start the creative process for this beautiful tent wedding and came up with a colourful display of loveliness everywhere the eye could see. 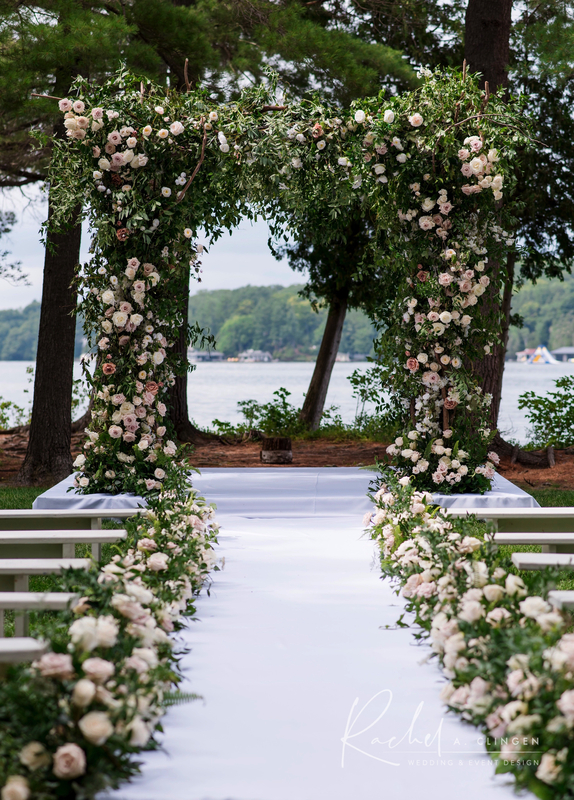 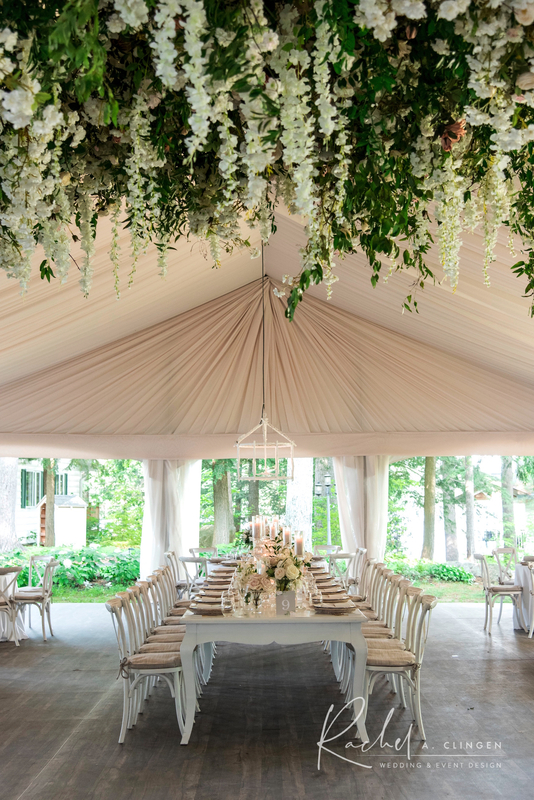 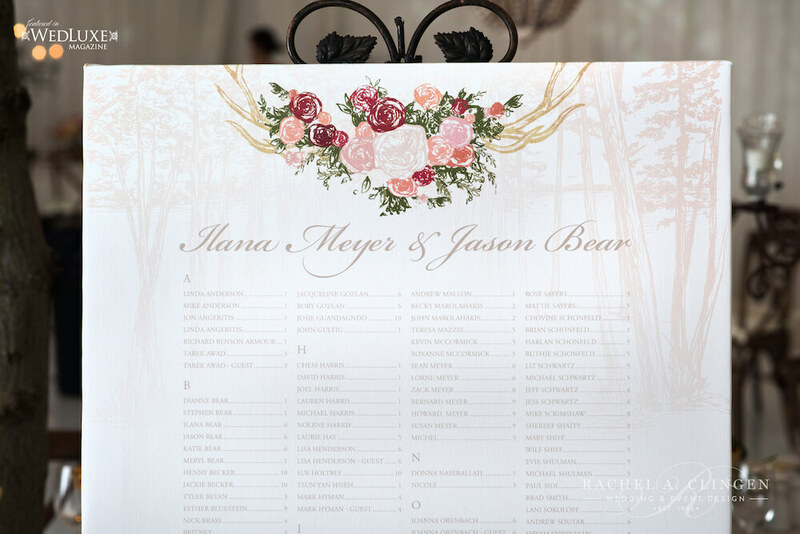 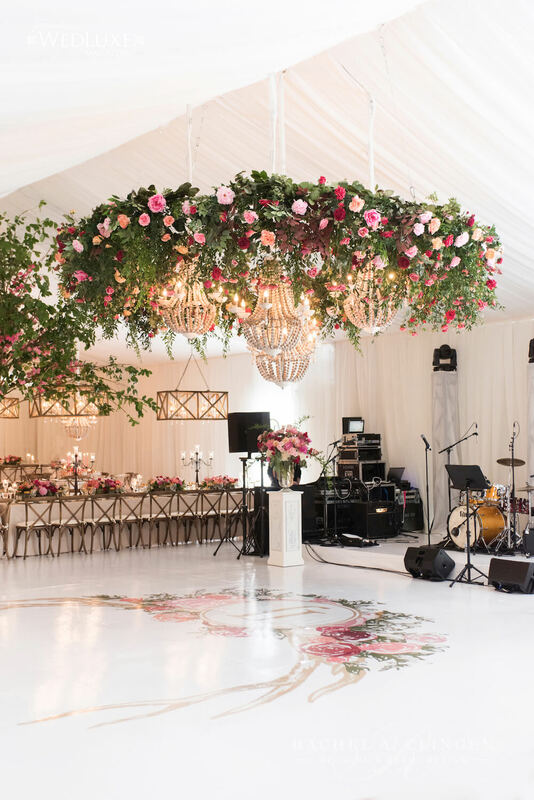 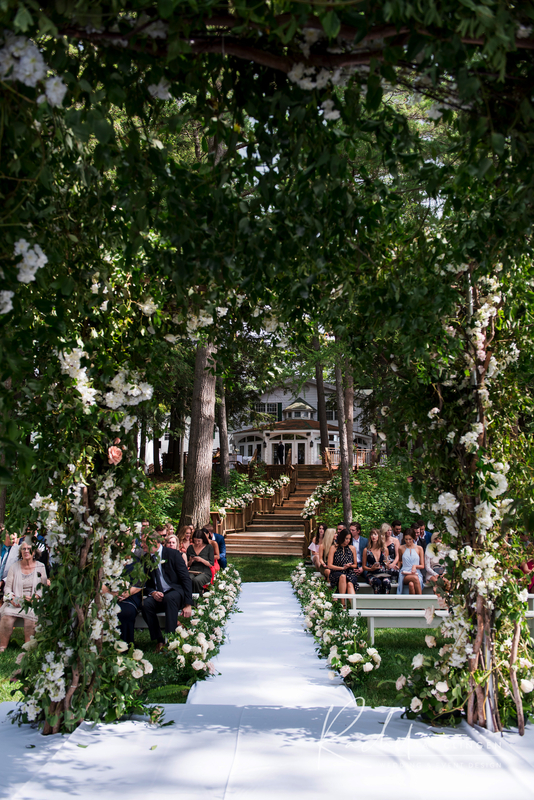 The stunning and romantic floral chuppah was carefully created to look like four trees were interconnecting at the top. 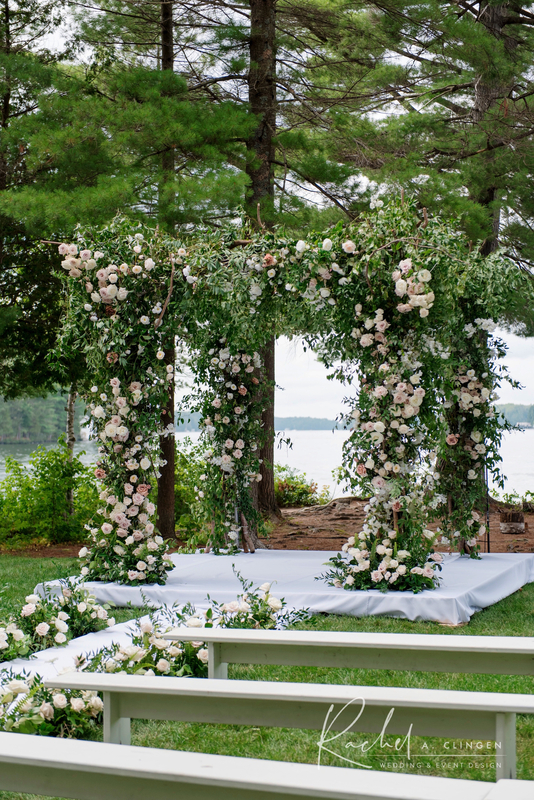 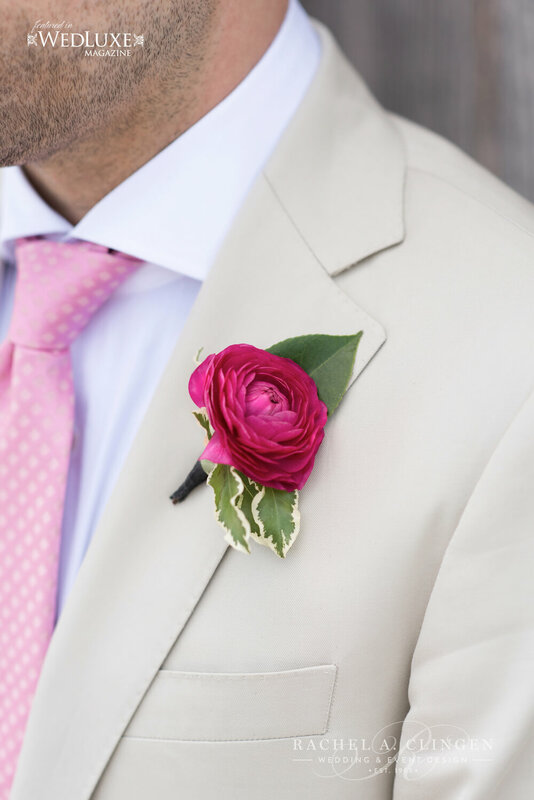 Loaded with flowers and foliage, this jaw dropping feature was the start of something incredible. 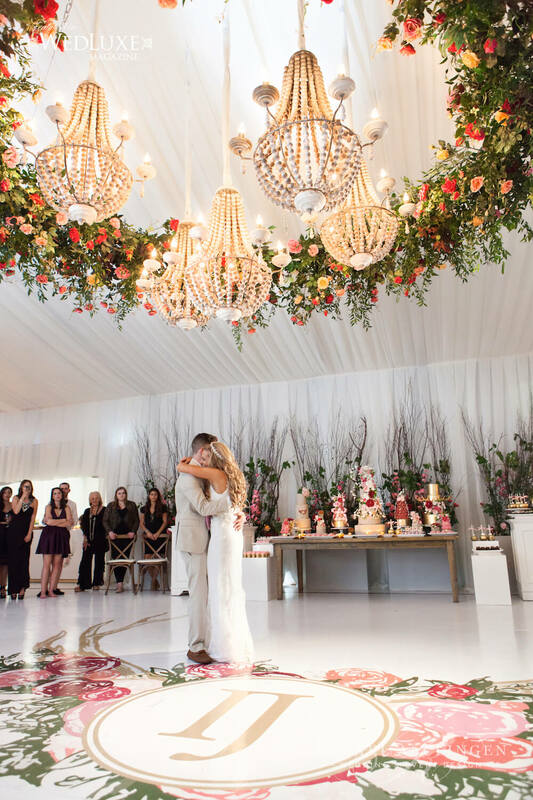 Wanting it to be a surprise, beautiful Ilana, refused to peek into the tent in the weeks leading up to the wedding but teared up when she saw what we created in the massive reception area. 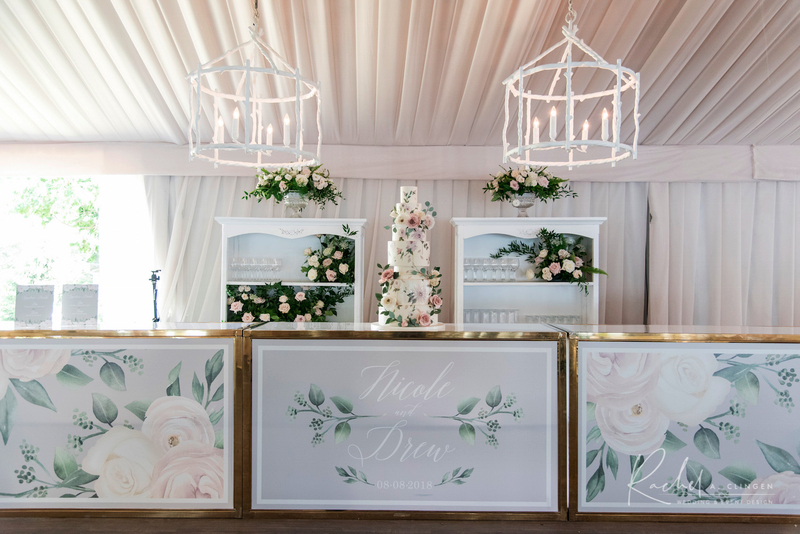 We designed the wedding tent with three different tiered levels for visual interest and included gallery and round tables. 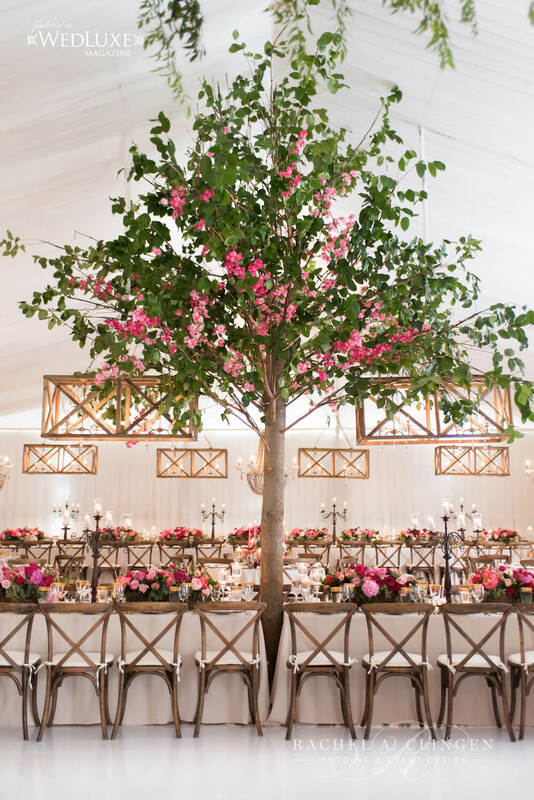 Two larger then life trees were created to bring the outside in. 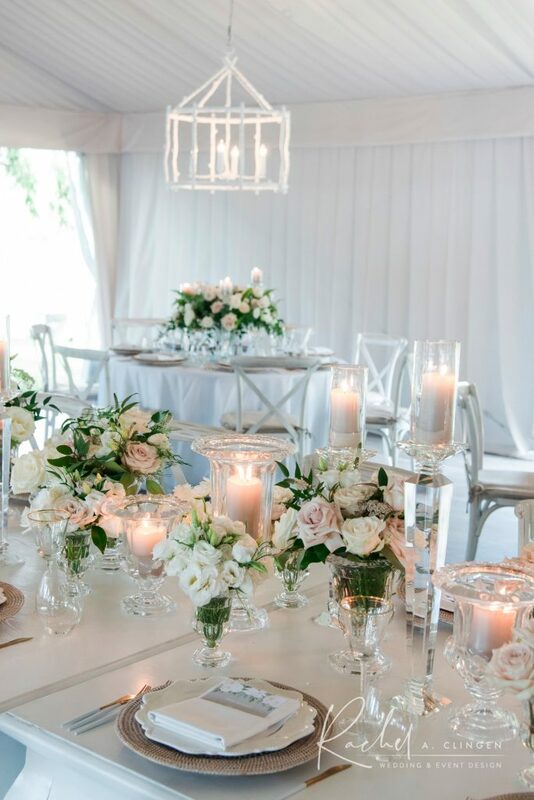 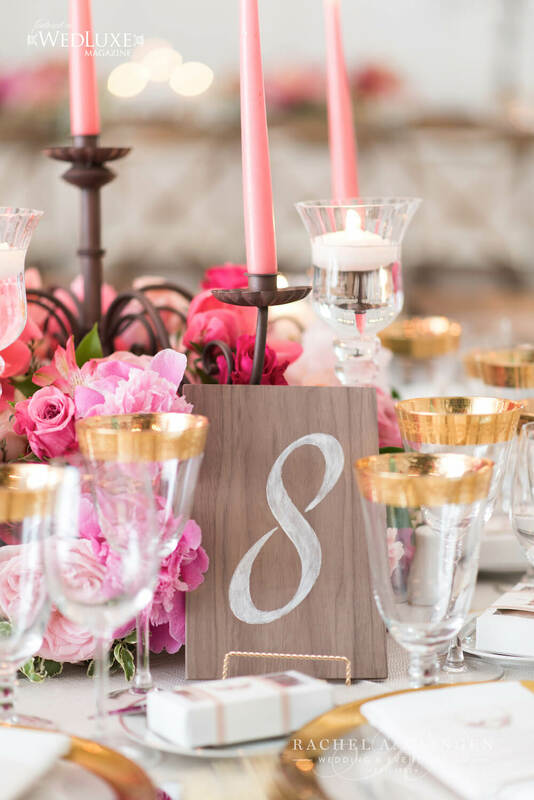 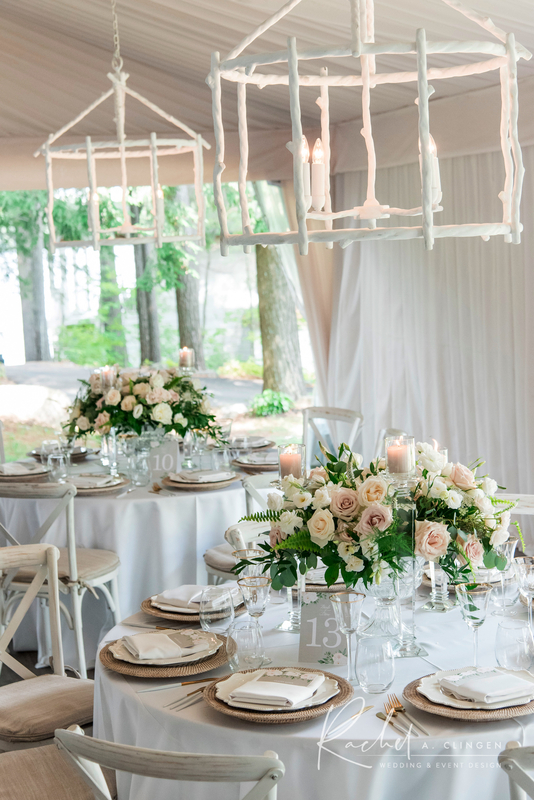 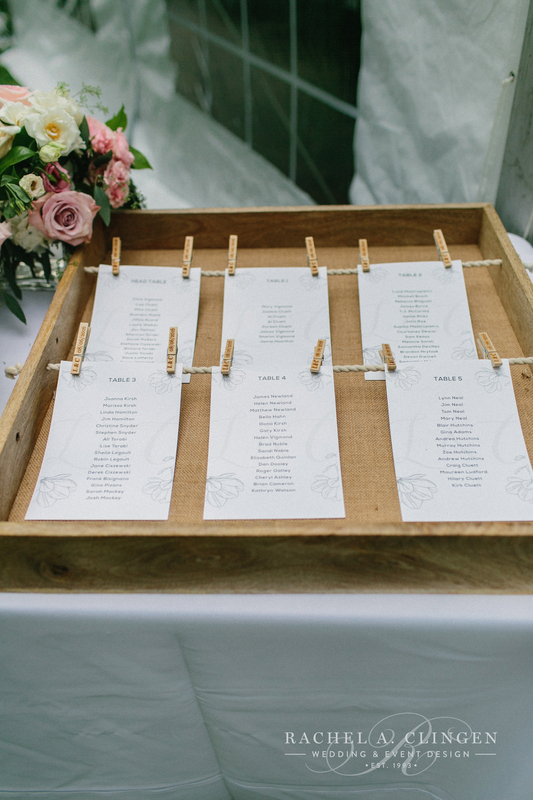 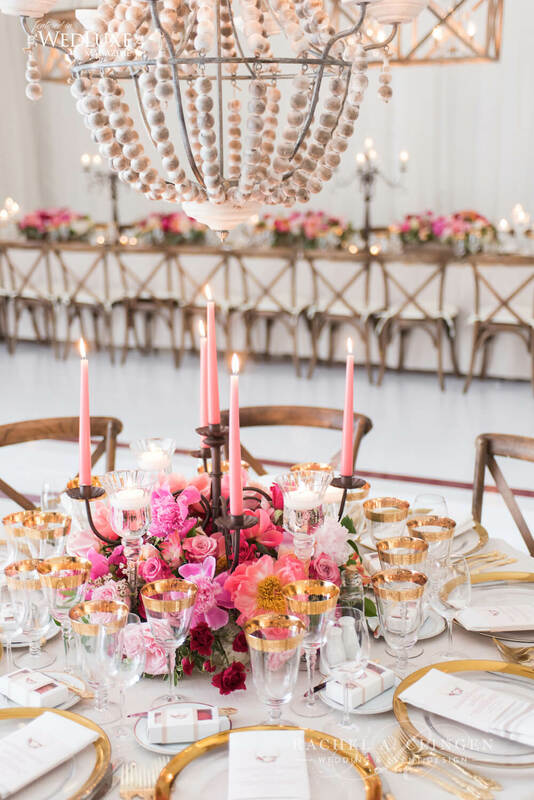 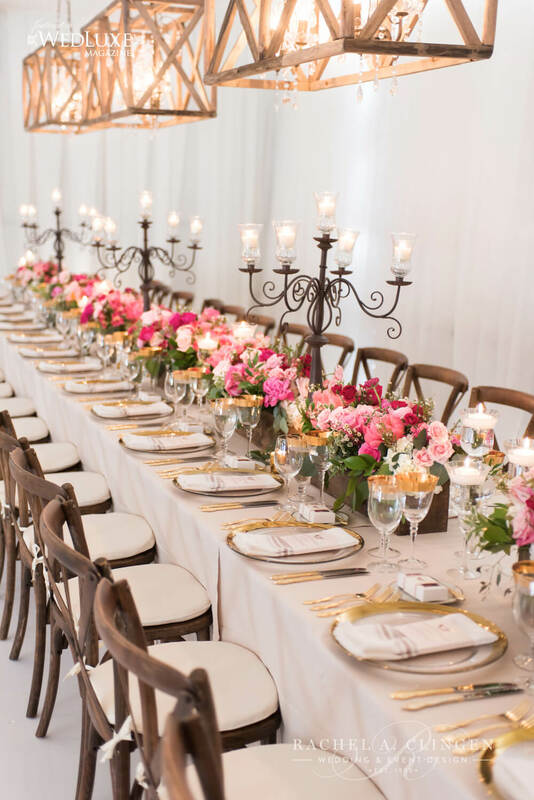 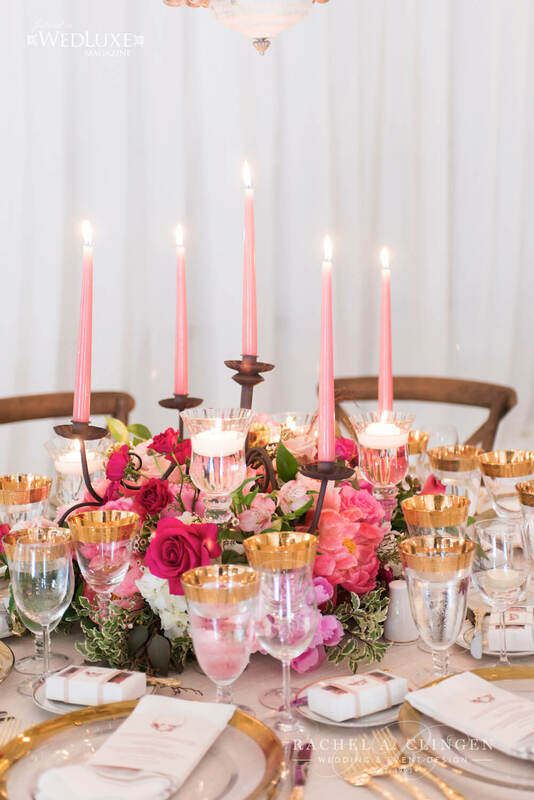 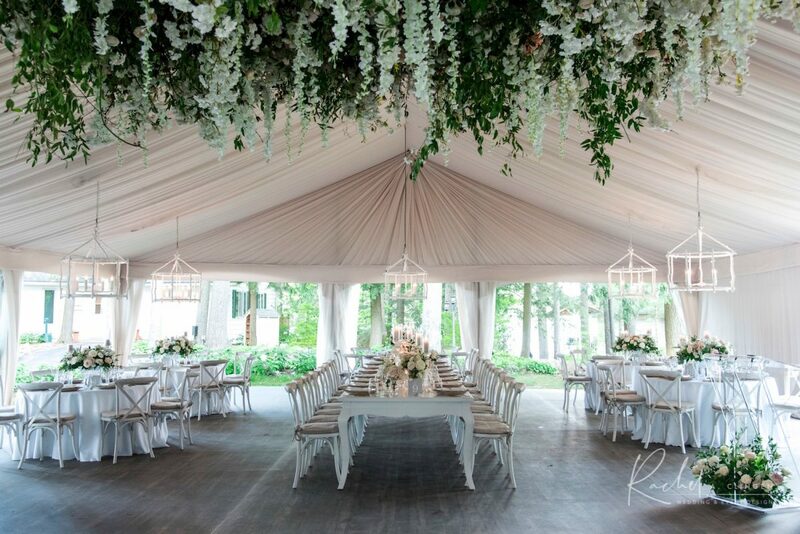 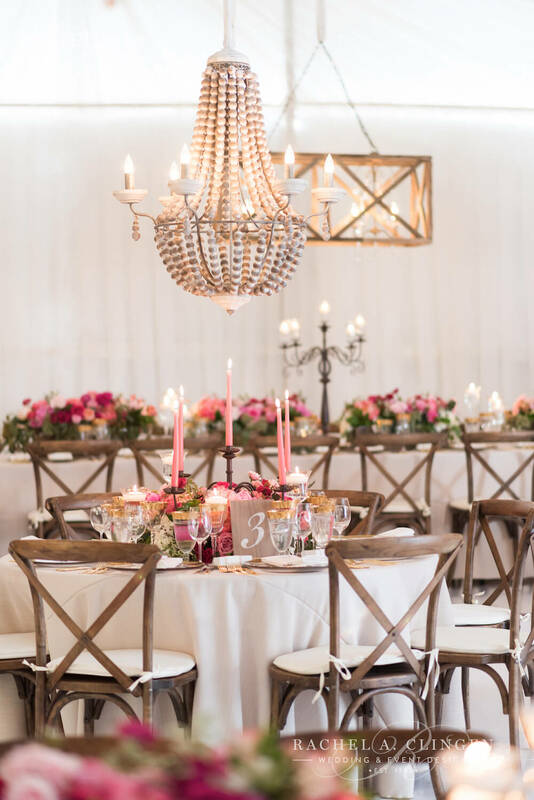 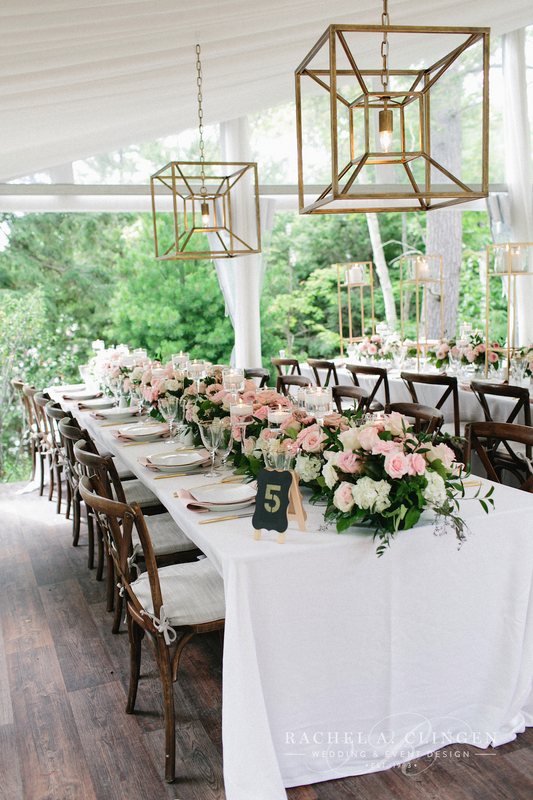 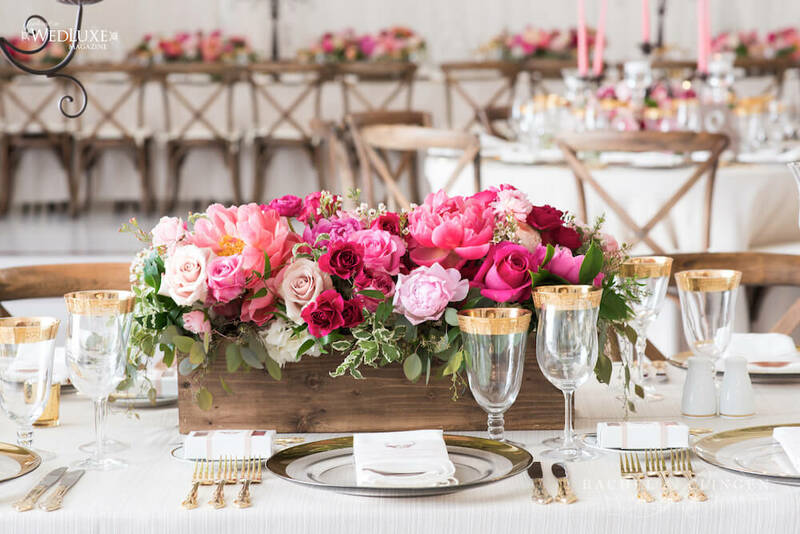 Rustic but chic decor elements included a mix of rectangular and beaded wooden chandeliers. 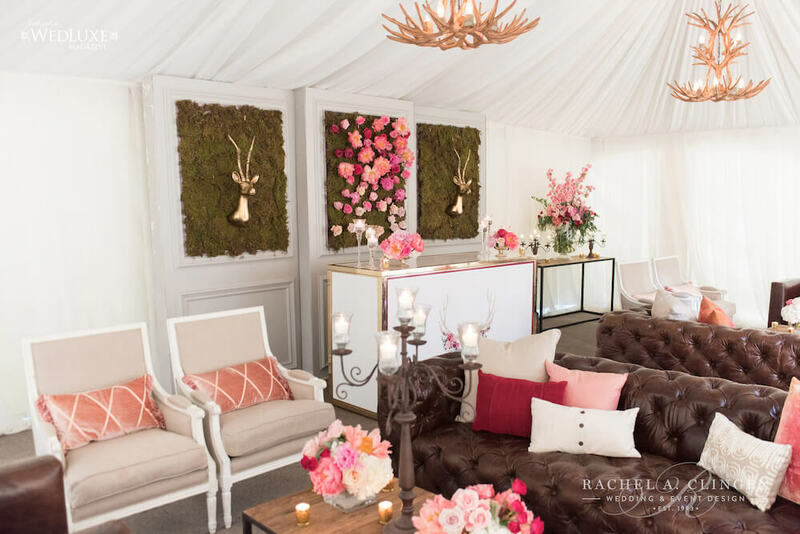 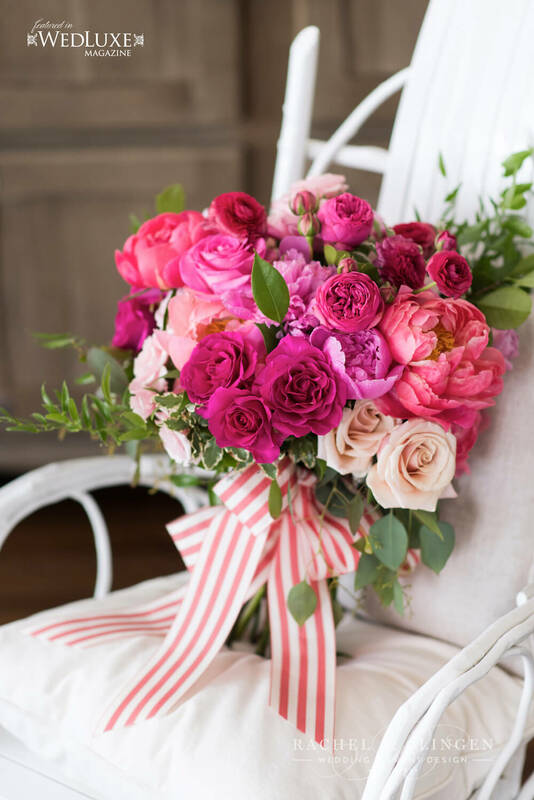 The beautiful collections of colourful flowers added a cheerfulness and beauty to the tent. 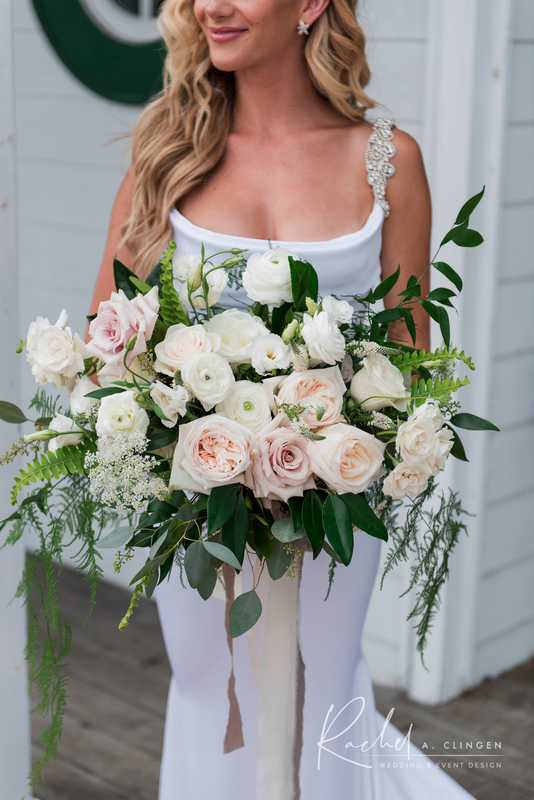 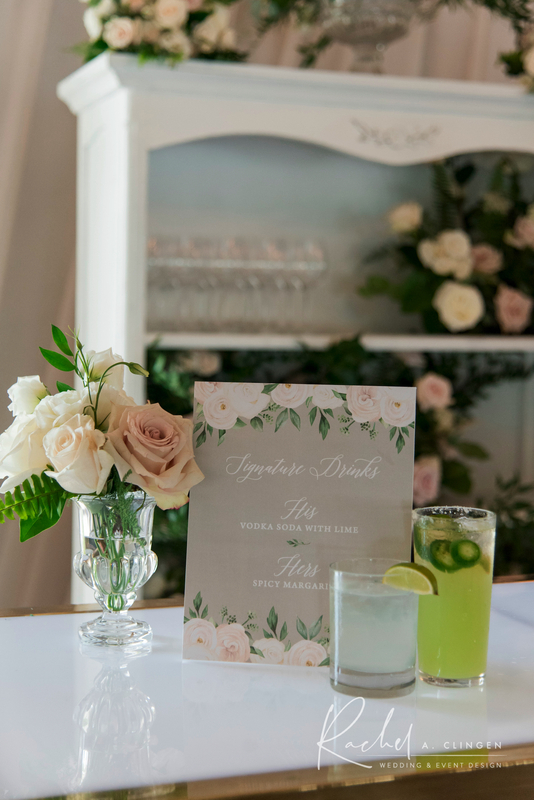 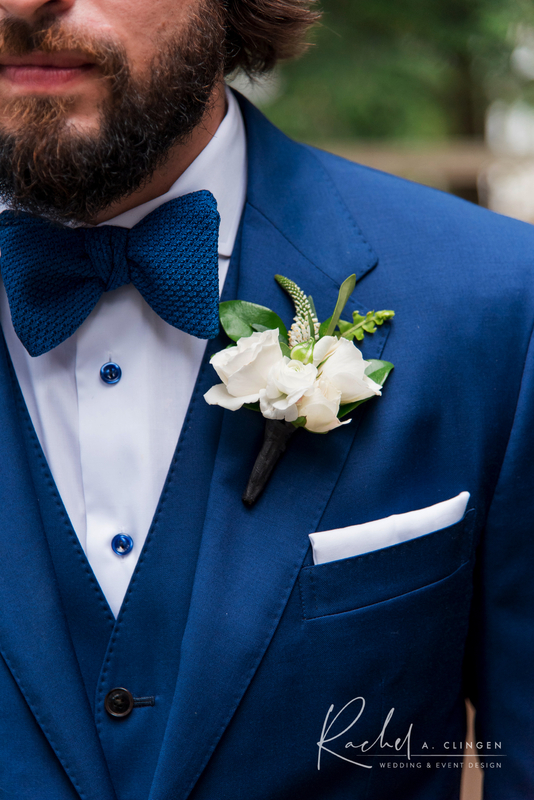 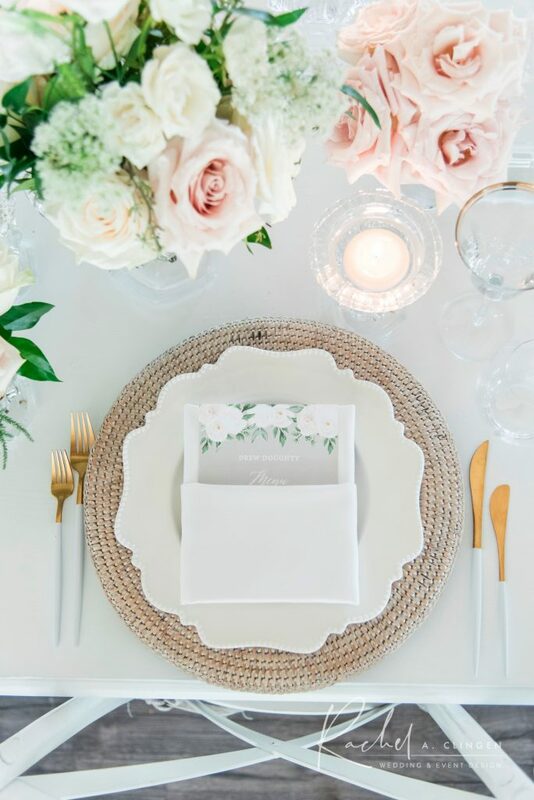 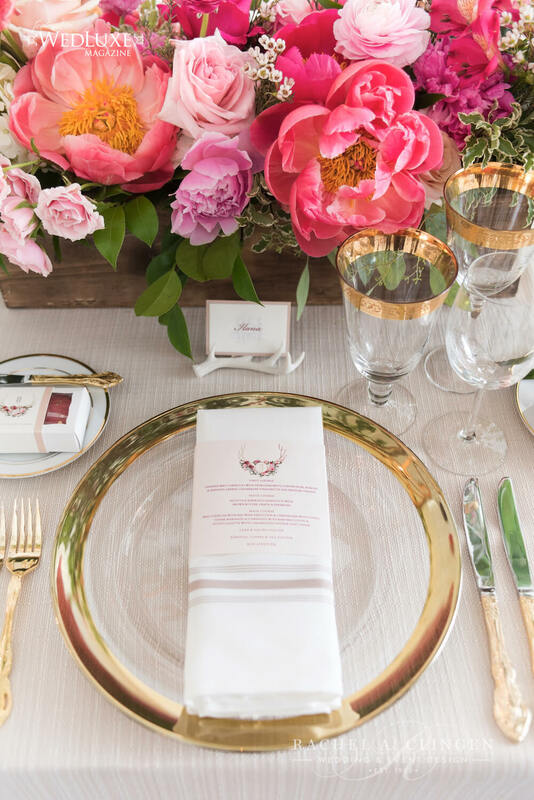 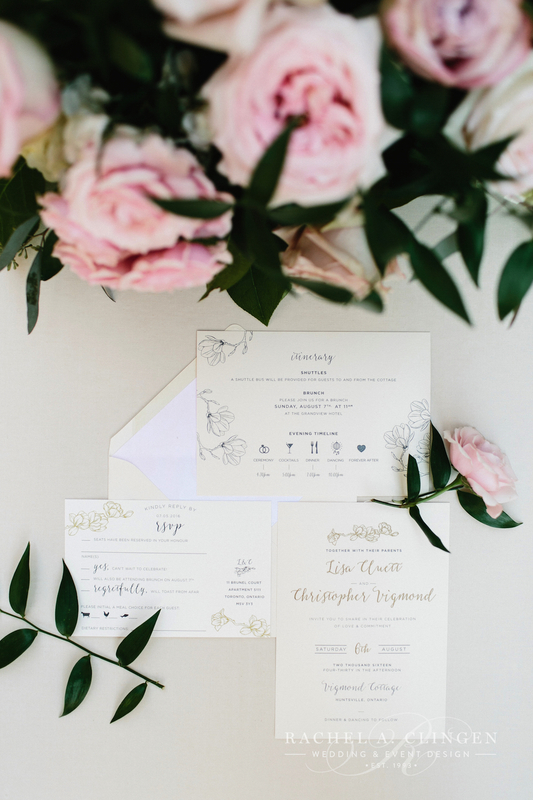 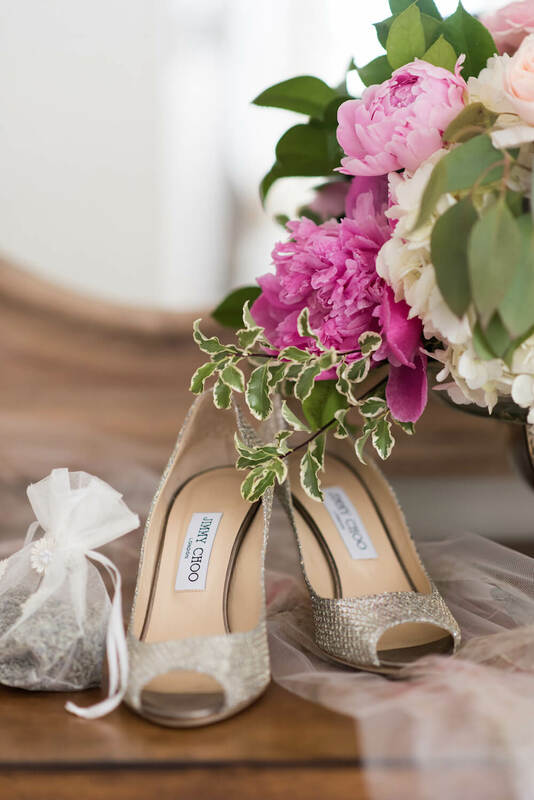 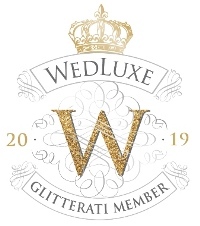 No detail was over looked with this wedding and recently feature in Wedluxe magazine, we are excited to share it with you! 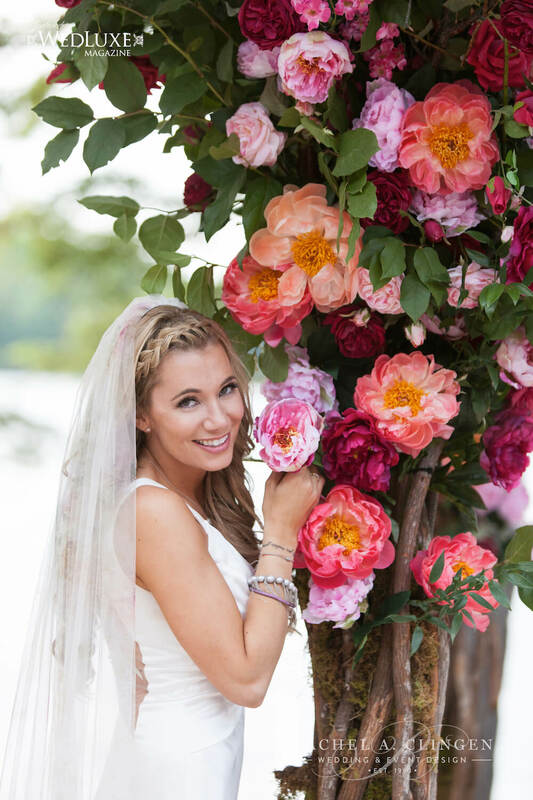 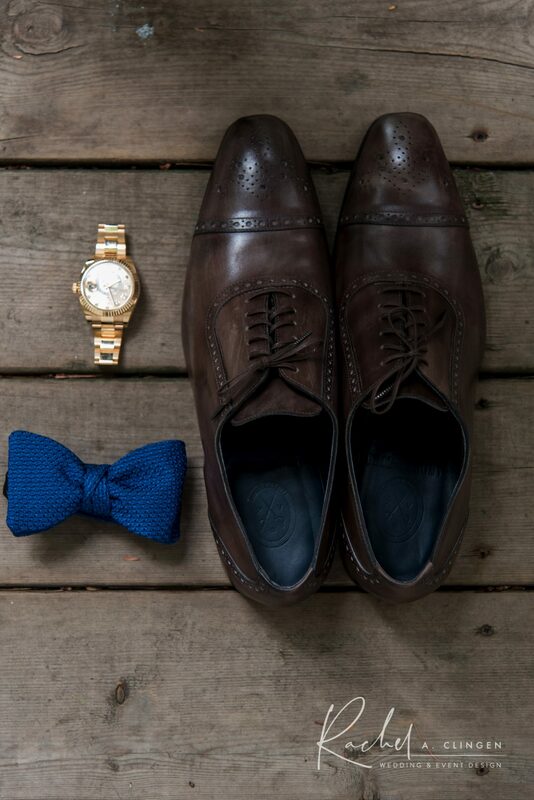 Every flawless image by our friends at 5ive15ifteen Photography. 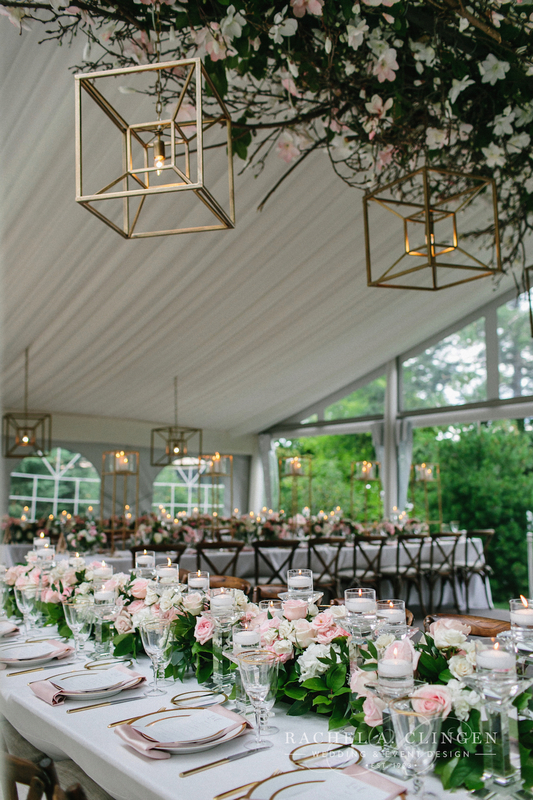 An amazing support team of vendors, including wedding planner Laura, from Laura and Co. Events made the magical day happen with ease! 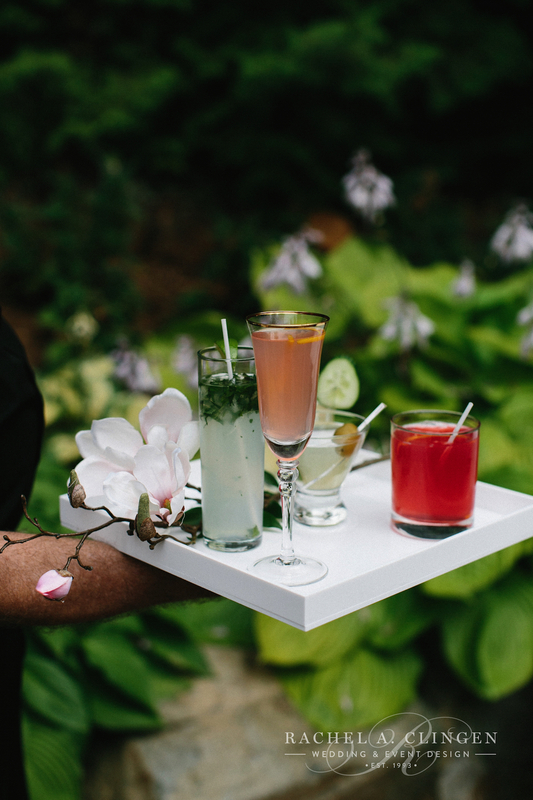 For a full list of vendors, see the bottom of post. 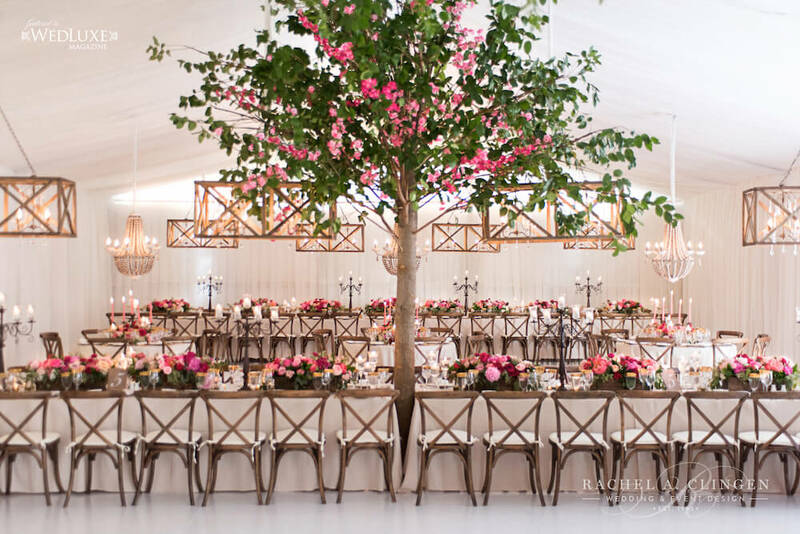 PHOTOGRAPHY – 5ive15ifteen Photo Company, PARTIAL PLANNING – Laura & Co. Events, FLORAL AND EVENT DESIGN • Rachel A. Clingen Wedding & Event Design, CATERING – Cravings Fine Food Market & Catering DRAPING • Eventure Design Inc., STATIONERY; CUSTOM DANCE FLOOR RENDERING; CUSTOM FAVOR BOXES – Palettera Custom Correspondences, VENUE – BRIDE’S FAMILY COTTAGE, LAKE JOSEPH (MUSKOKA), GOWN – Elizabeth Fillmore from Kleinfeld Hudson’s Bay, VEIL – Elizabeth Fillmore from Kleinfeld Hudson’s Bay, CEREMONY SHOES – Jimmy Choo, RECEPTION SHOES, BRIDESMAIDS DRESSES – twobirds Bridesmaid, HAIR AND MAKEUP ARTIST – Bene Pham Beauty, LOUNGE AREA FURNITURE – Contemporary Furniture Rentals Inc., CAKE; SWEET TABLE DESIGN; FRENCH MACARON FAVORS – Fine Cakes by Zehra, ENTERTAINMENT – HIFI Showband, BOATHOUSE PREP – Muskoka Landscapers, OUTDOOR RECEPTION TENT – Regal Tent Productions, HARVEST TABLE (SWEET TABLE) AND CHAIRS – Detailz Couture Event Rentals, PASTRY CARTS – Forget Me Not Flowers of Oakville, ESPRESSO BARS – Detailz Couture Event Rentals, DANCE FLOOR PRODUCTION • Event Graffiti, ELECTRICAL, LIGHTING, AV • FireDog Creative, FIREWORKS – PyroWorld, VIDEO AND CINEMATOGRAPHY COMPANY • DMS Video Productions Ltd.